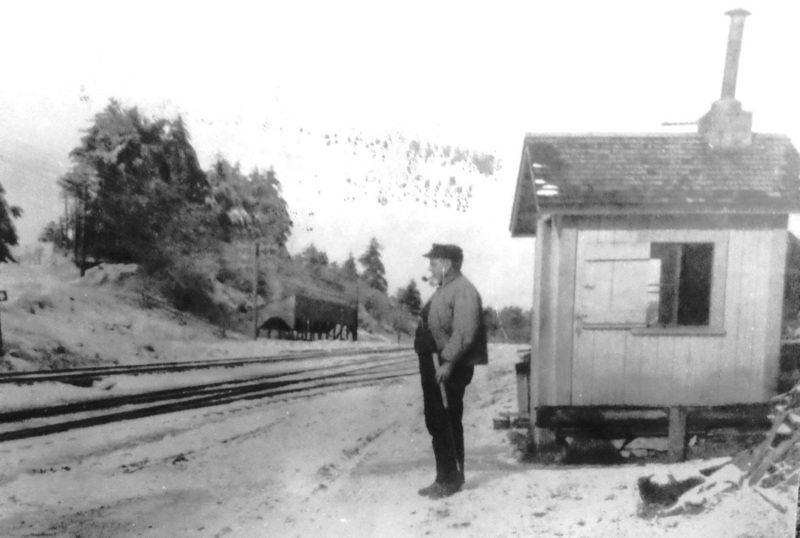 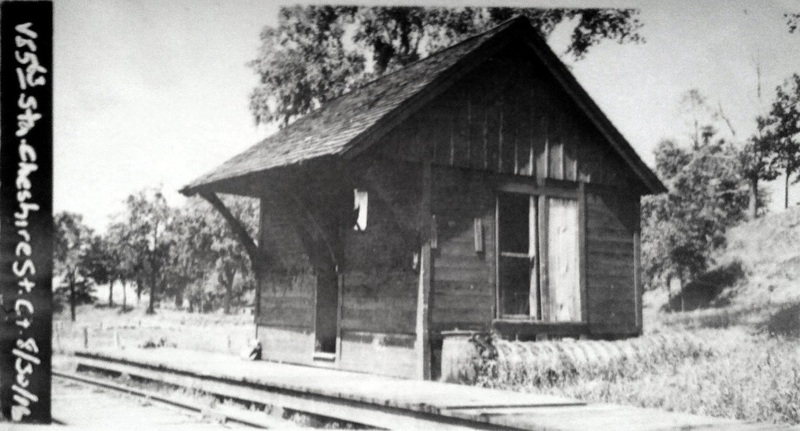 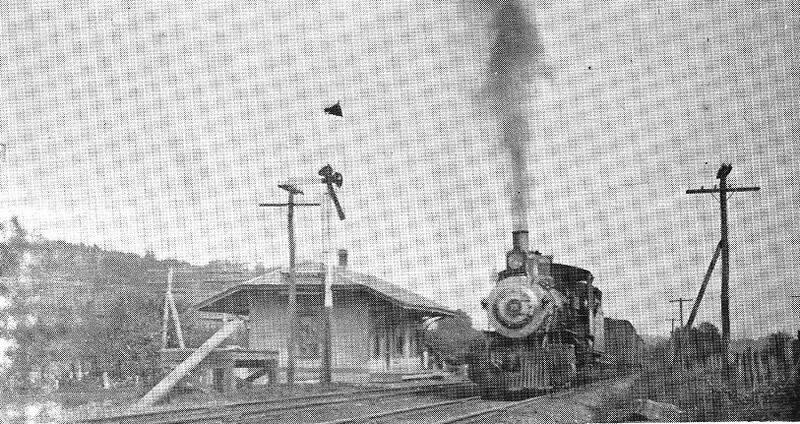 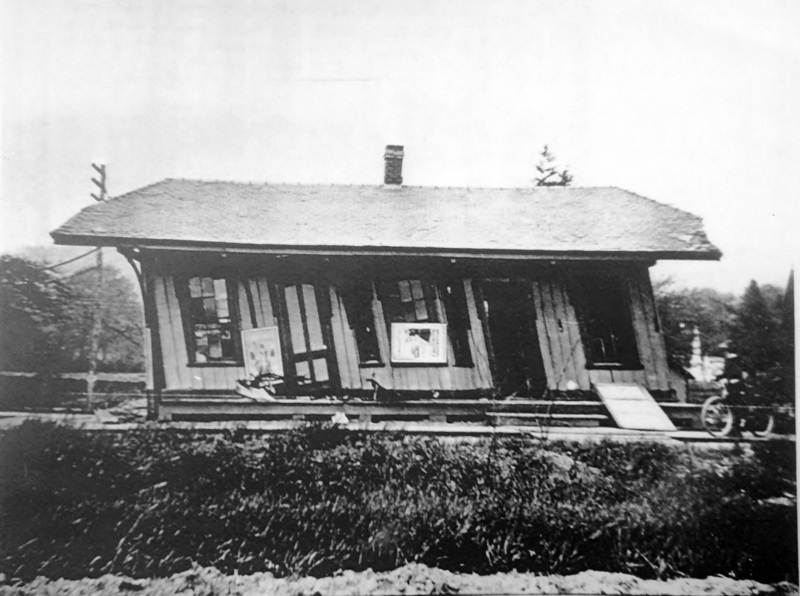 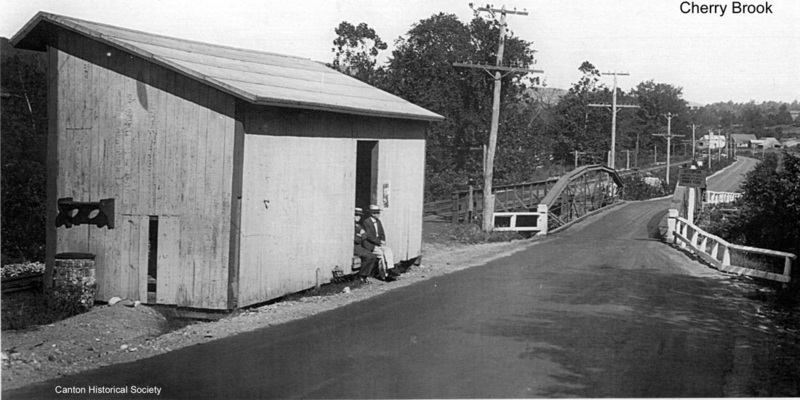 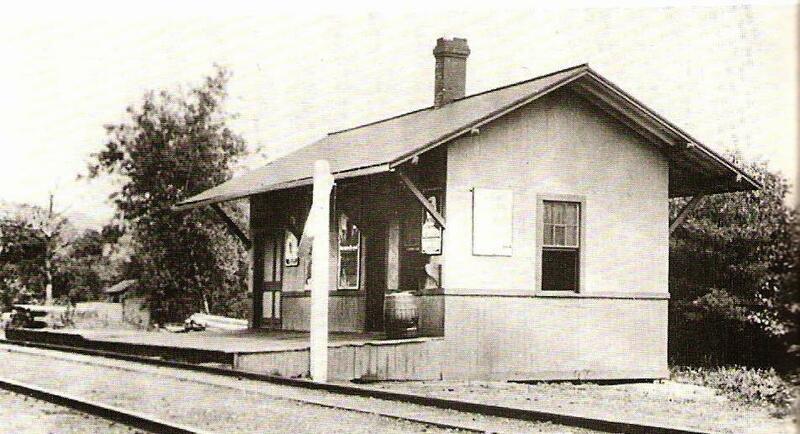 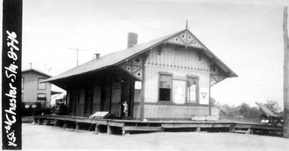 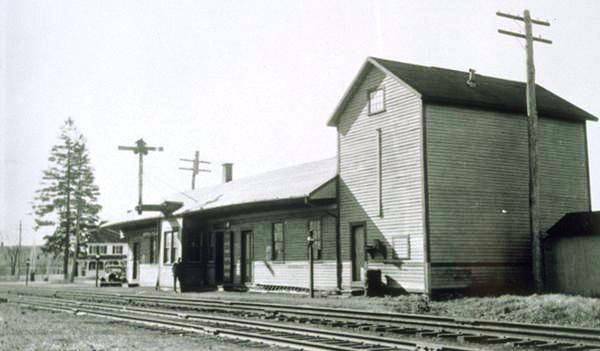 This was a stop on the Rockville RR, 1.96 miles from VERNON, when electric service was operated in the early 1900s. 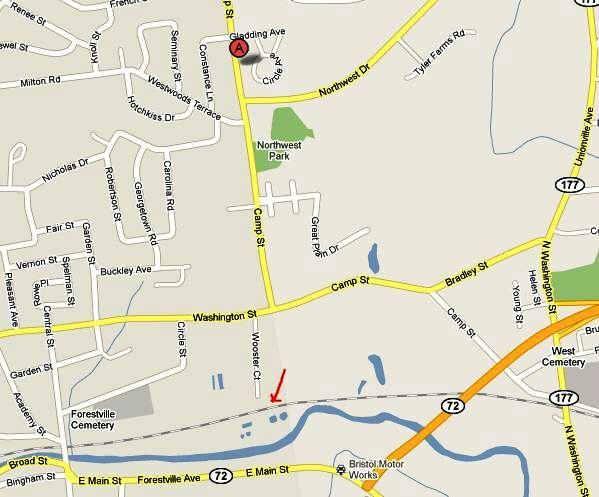 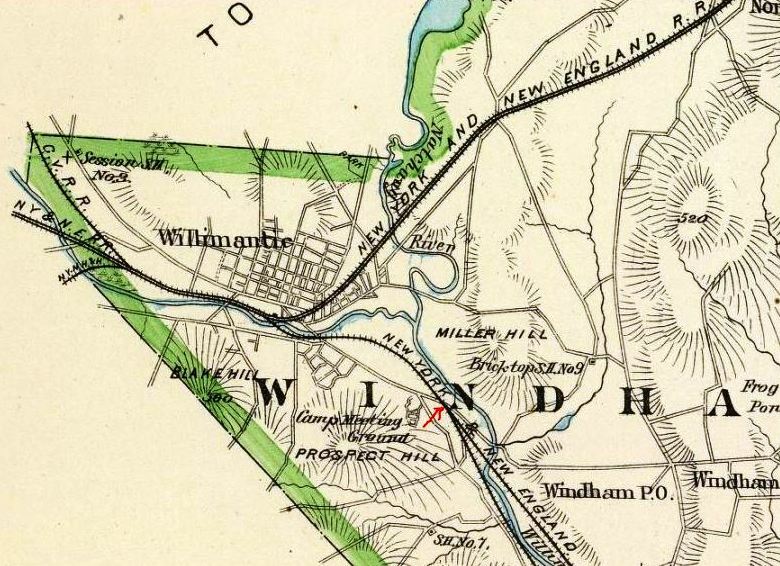 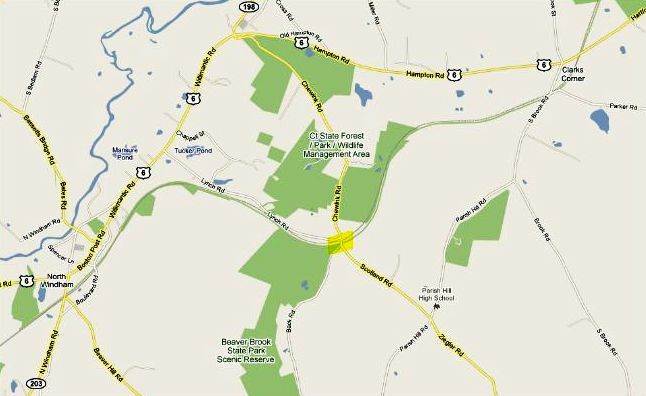 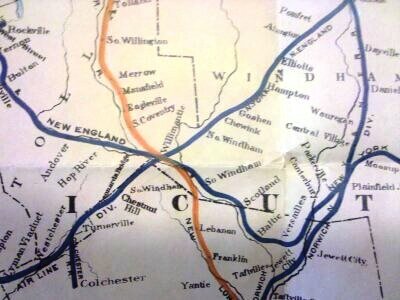 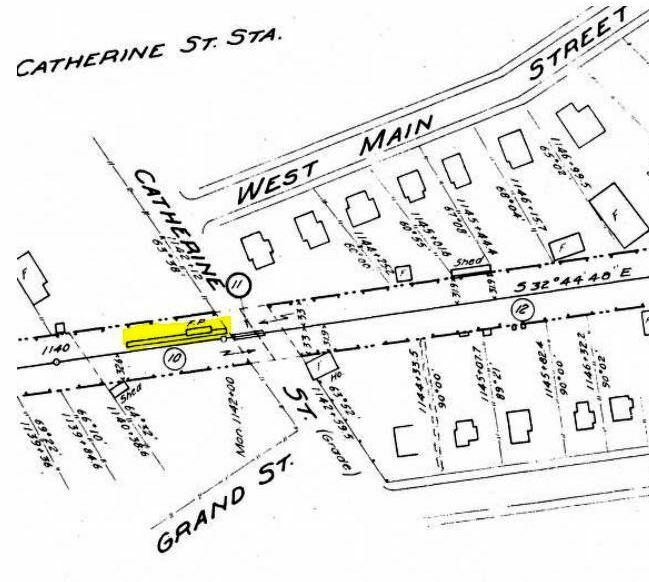 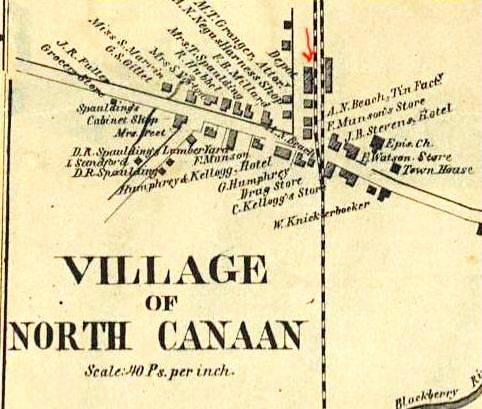 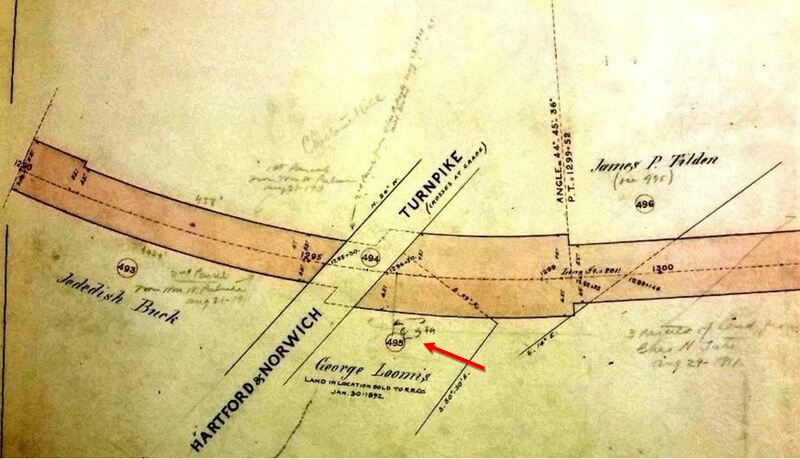 Often seen spelled as CENTREVILLE, this was an original station on the NH&N in the town of Hamden and is indicated by the red arrow on the 1868 map at upper left. 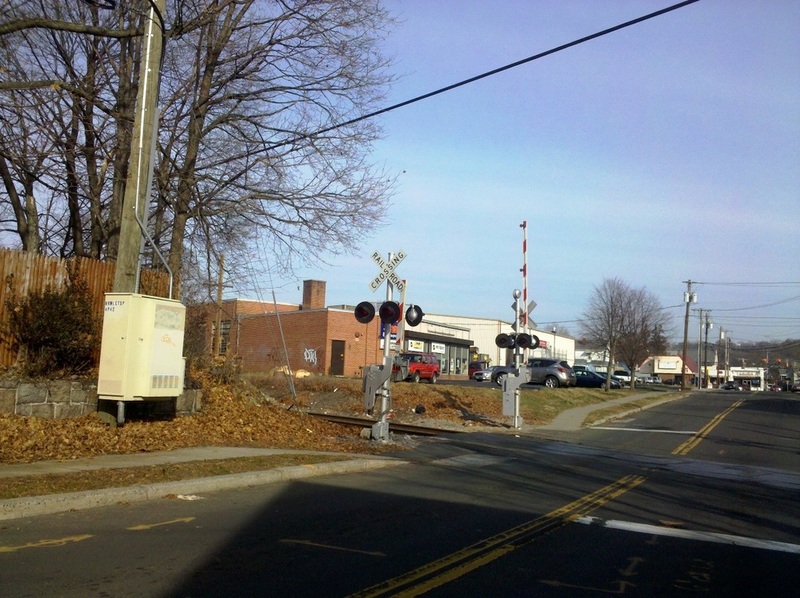 It is usually designated on timetables as a flag stop. 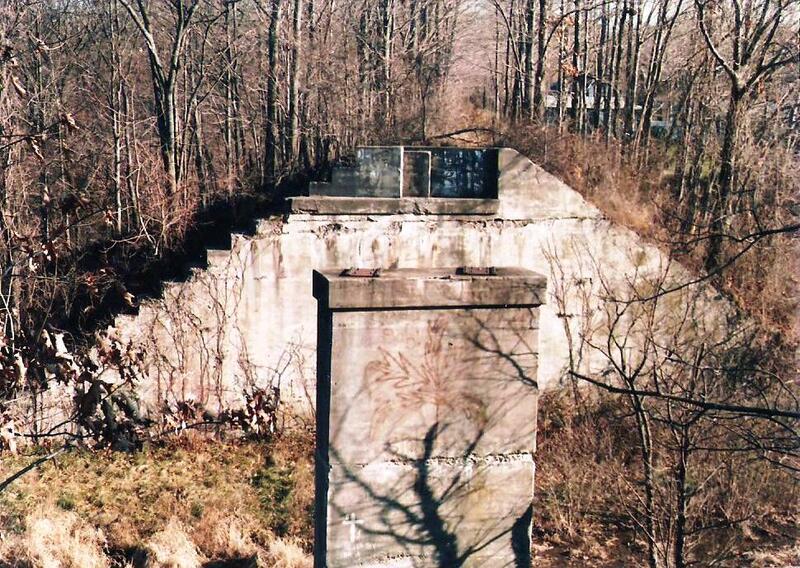 We have no photo yet of whatever structure may have been here. 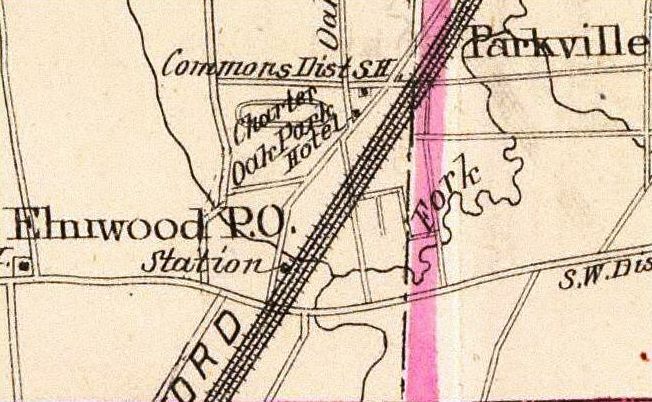 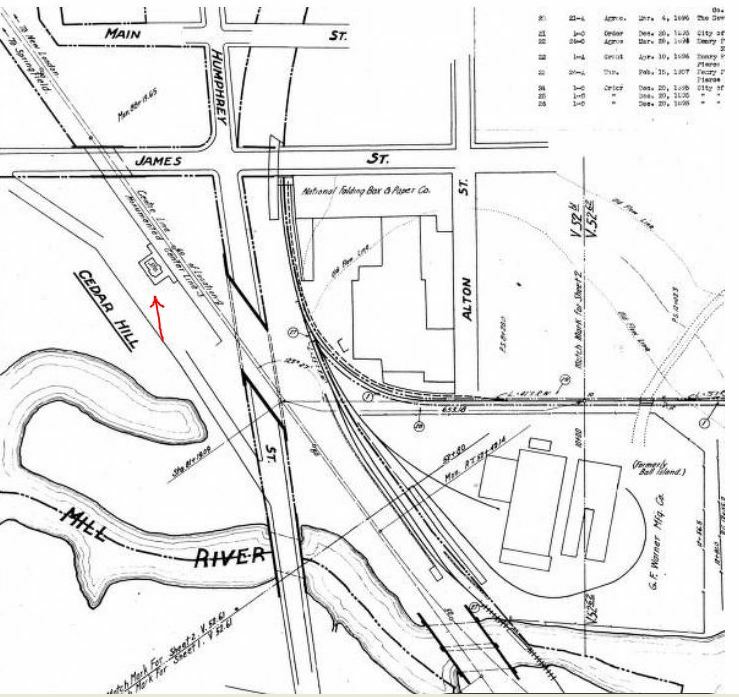 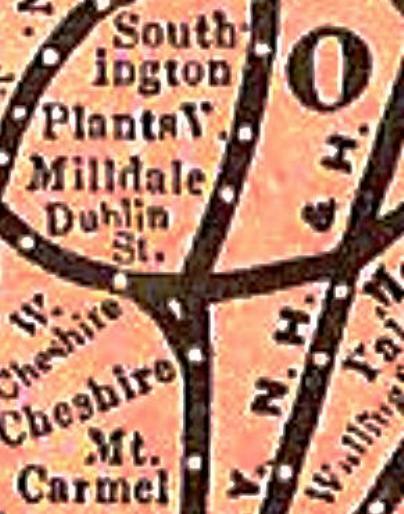 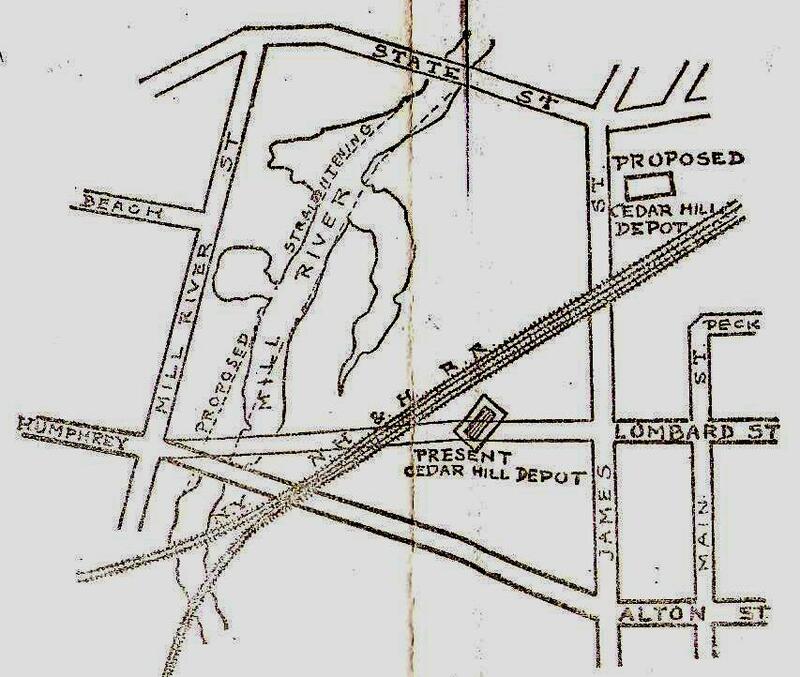 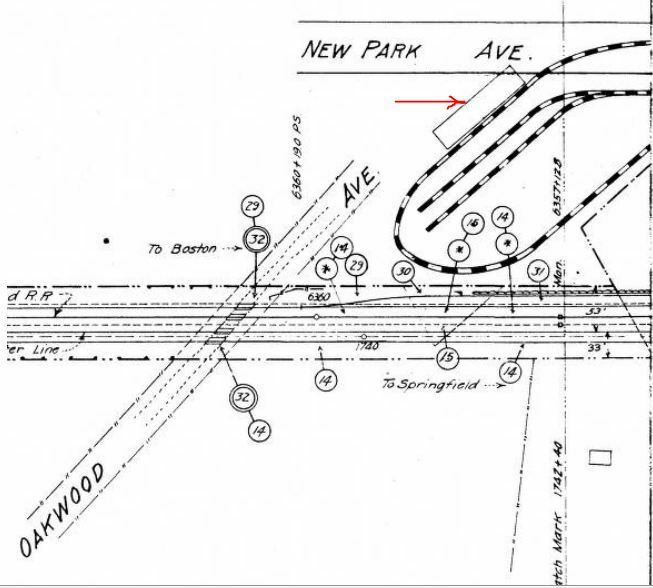 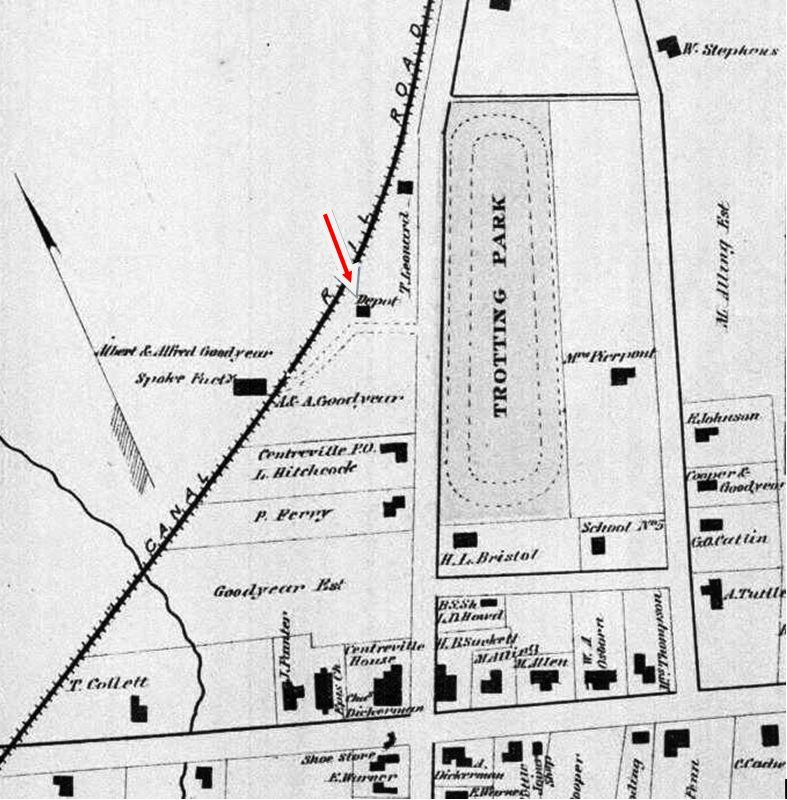 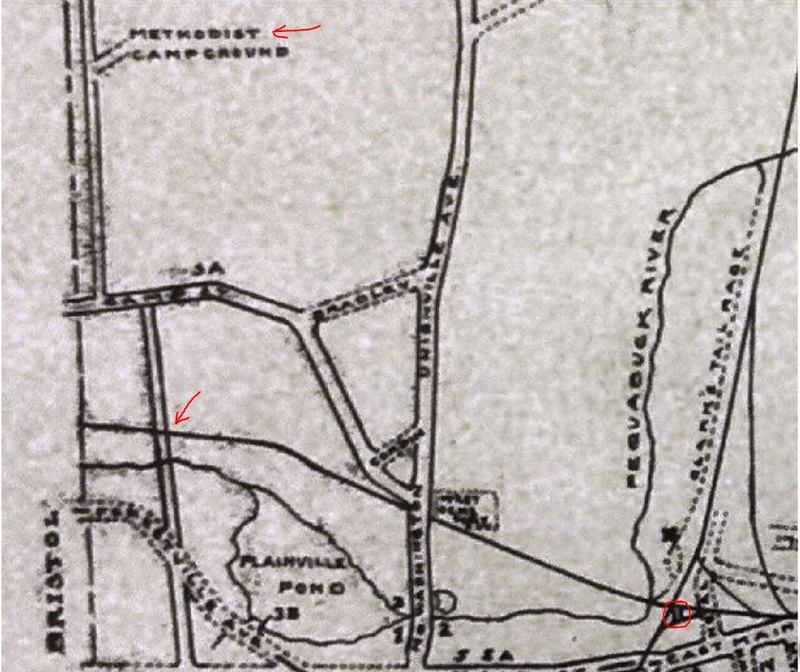 The red X on the map at upper right shows its location today along what was originally the path of the old Farmington Canal that paralleled Whitney Ave., then Cheshire Tpke. 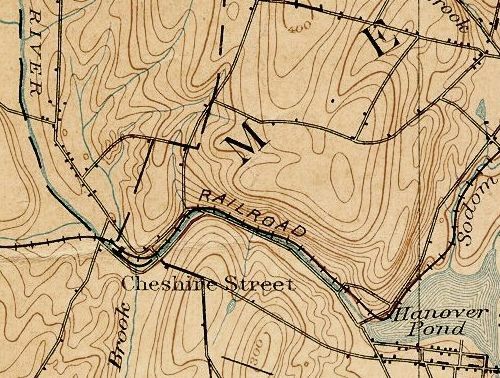 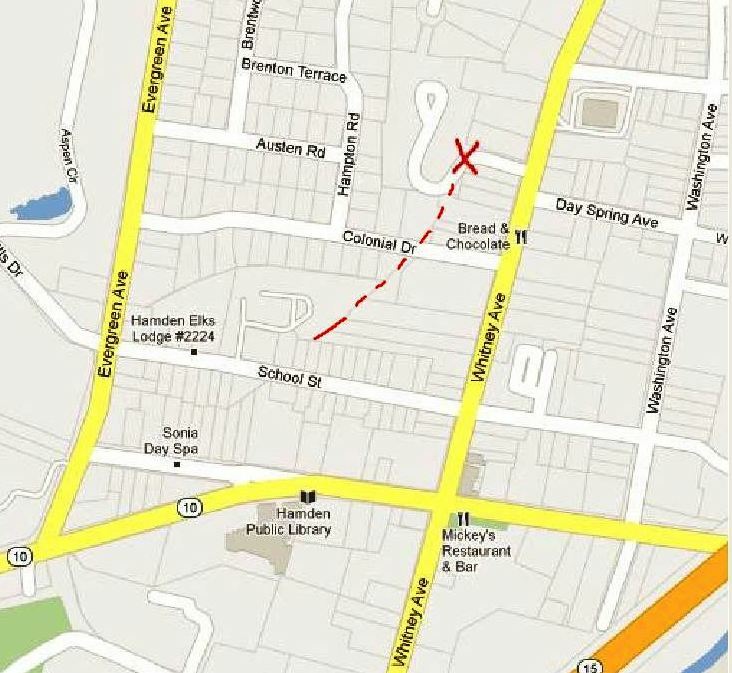 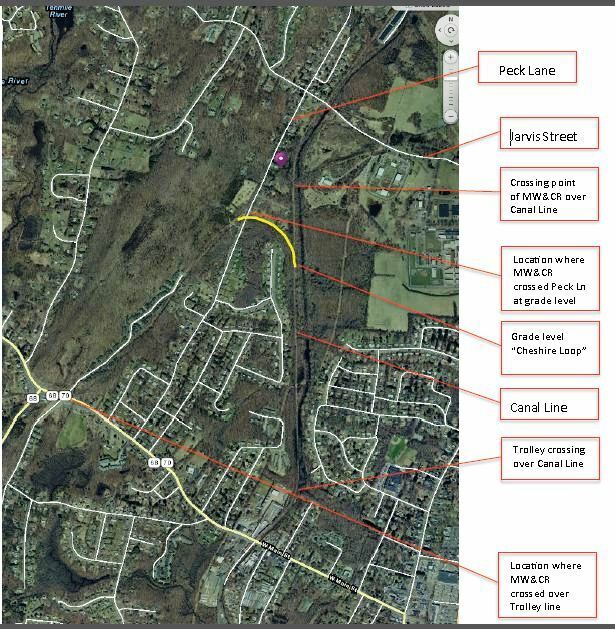 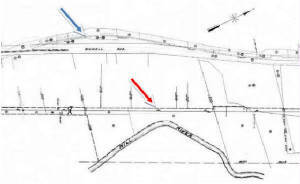 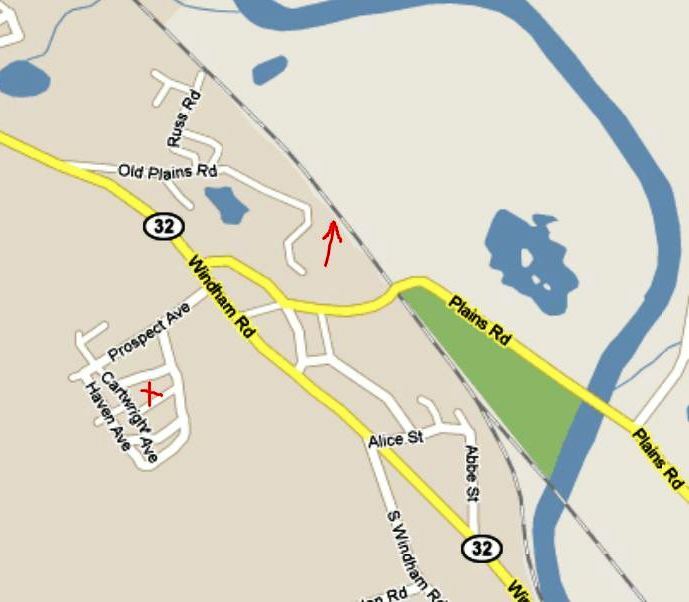 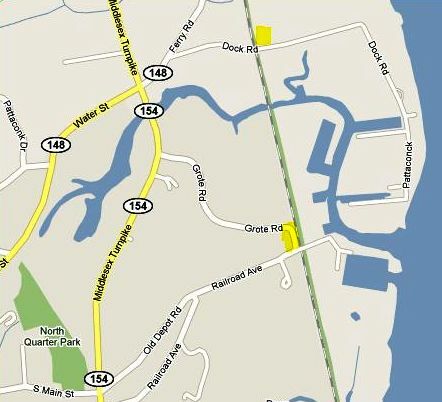 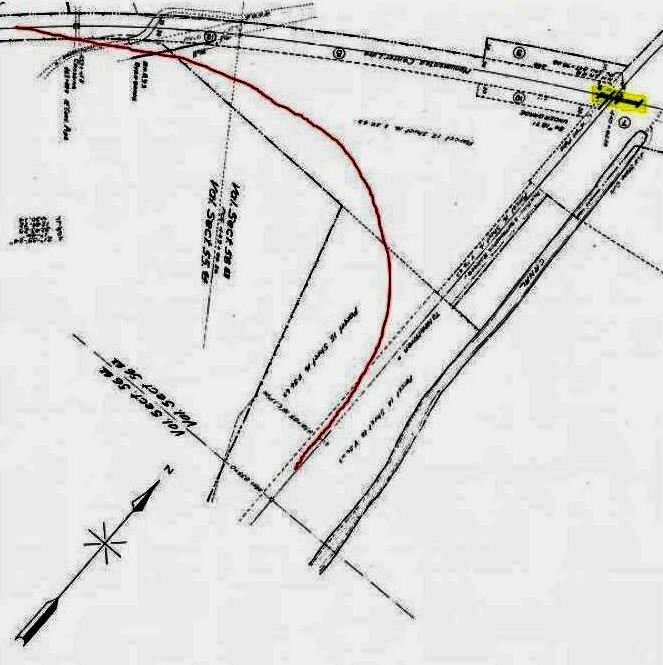 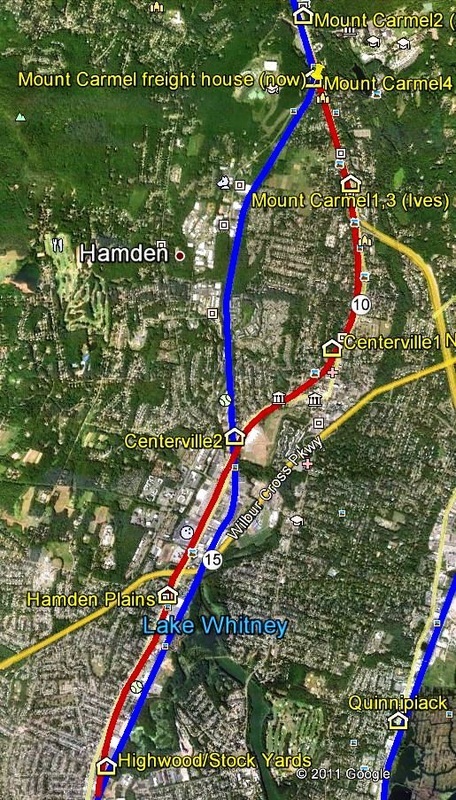 The current property lines that we have shown with the dashed red line still reflect the route that once loped northeast through this part of Hamden. 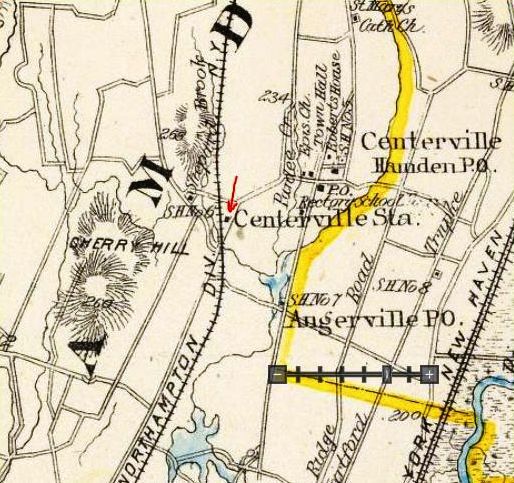 We also noted that the access road to the subdivision west of Whitney Ave. on today's map seems to correspond exactly to the path to the CENTERVILLE1 depot that swung south as well to go the spoon factory on the 1868 map. 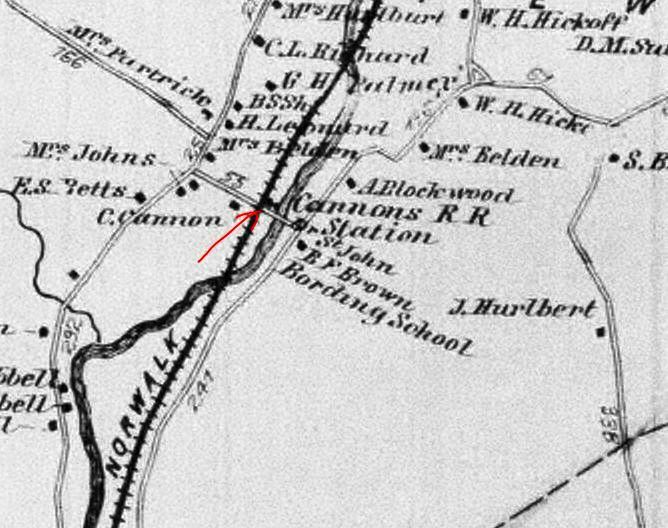 The red arrow on the ca. 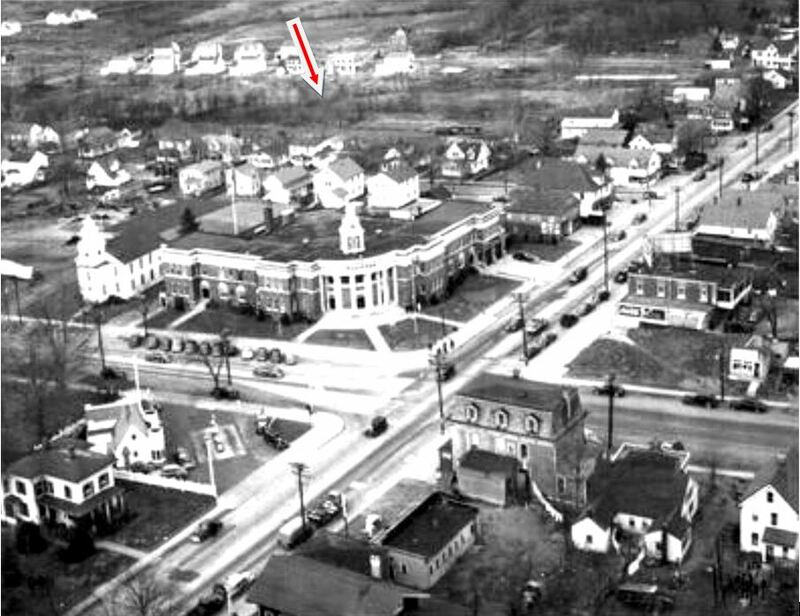 1940 aerial photo at lower left shows what appears to be the old ROW behind Hamden's 1924 Memorial Town Hall. 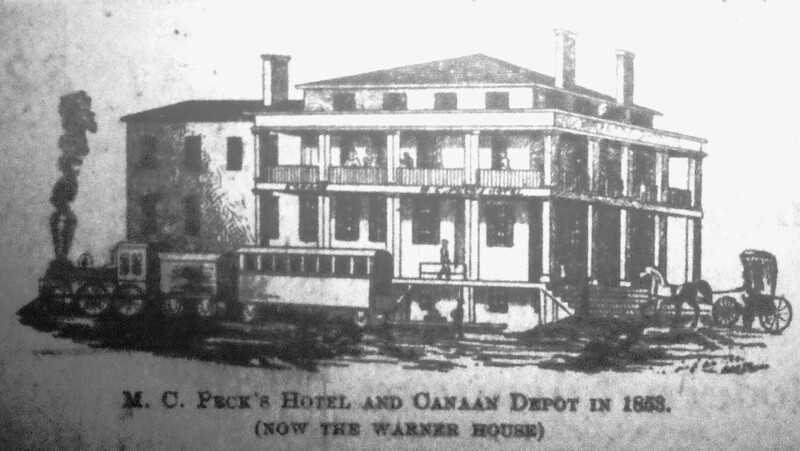 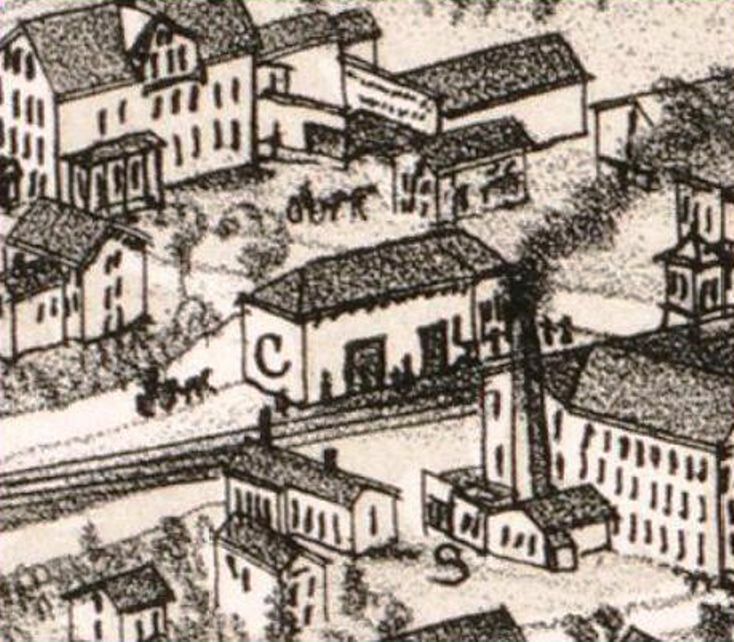 The location is seen on the 1856WC map. 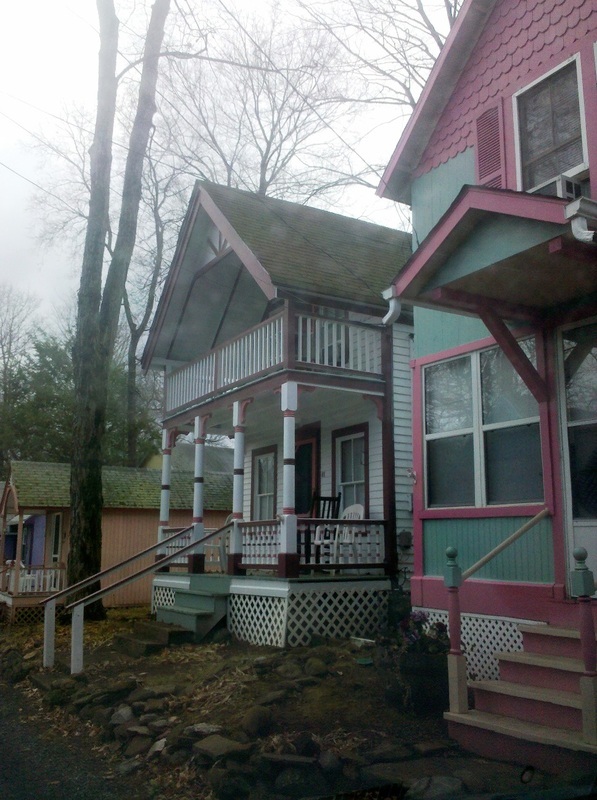 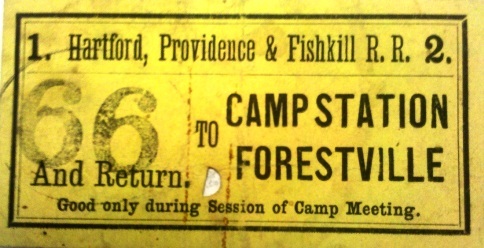 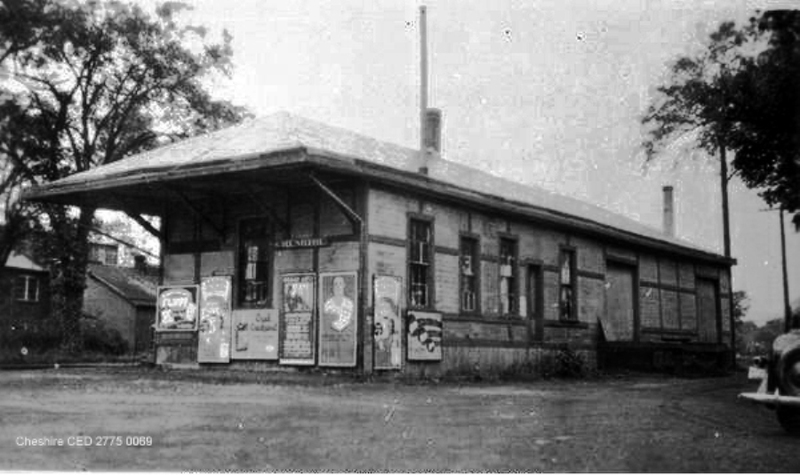 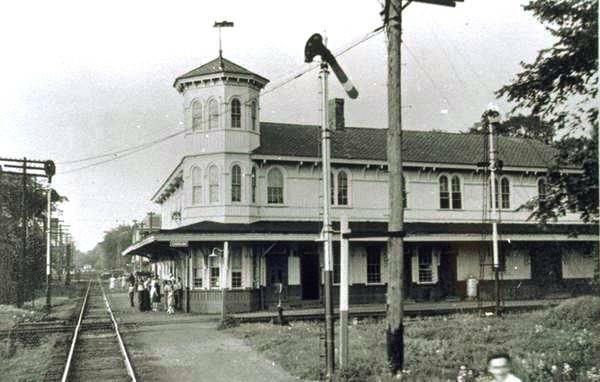 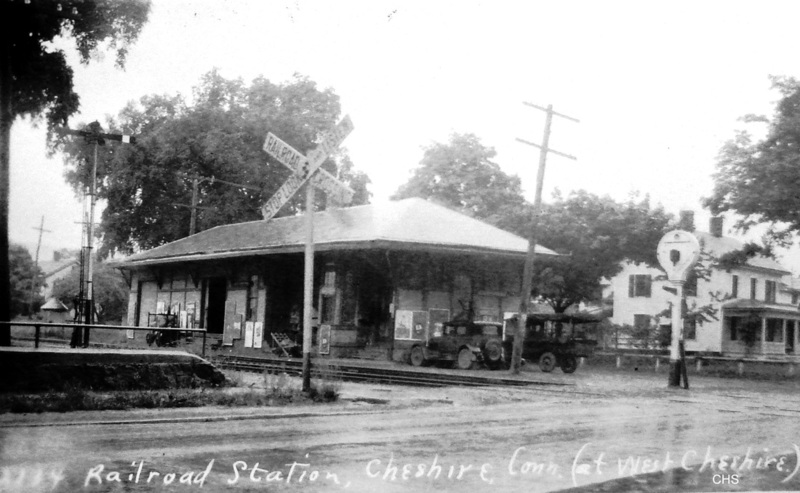 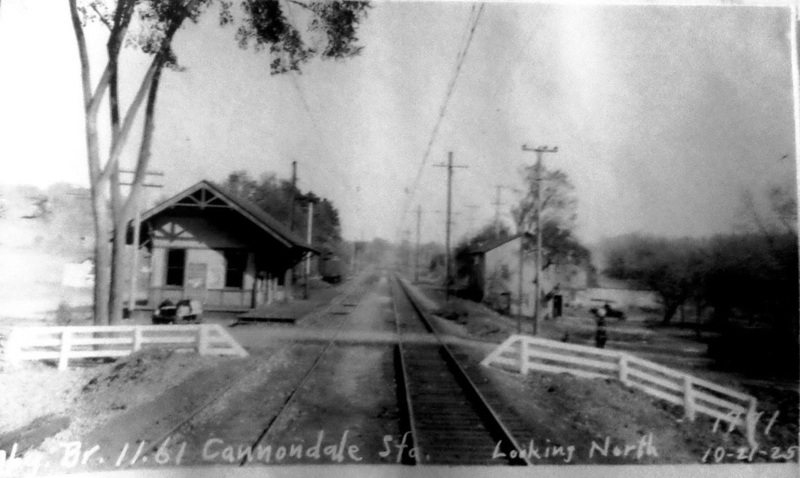 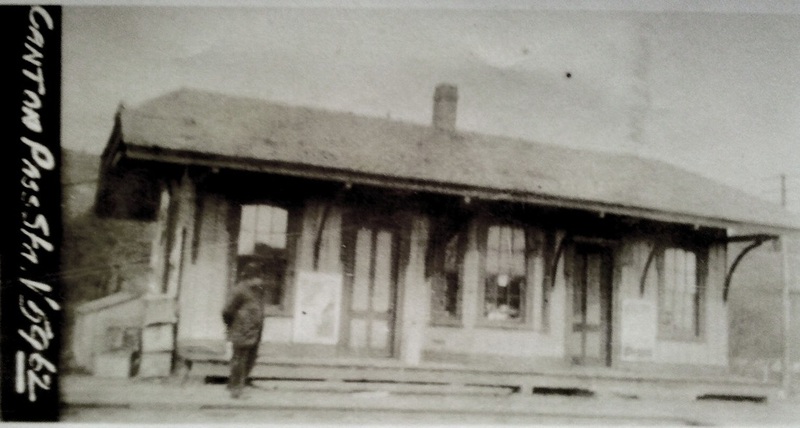 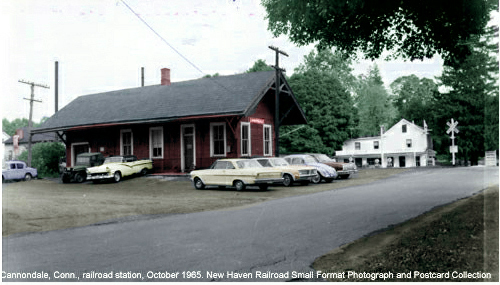 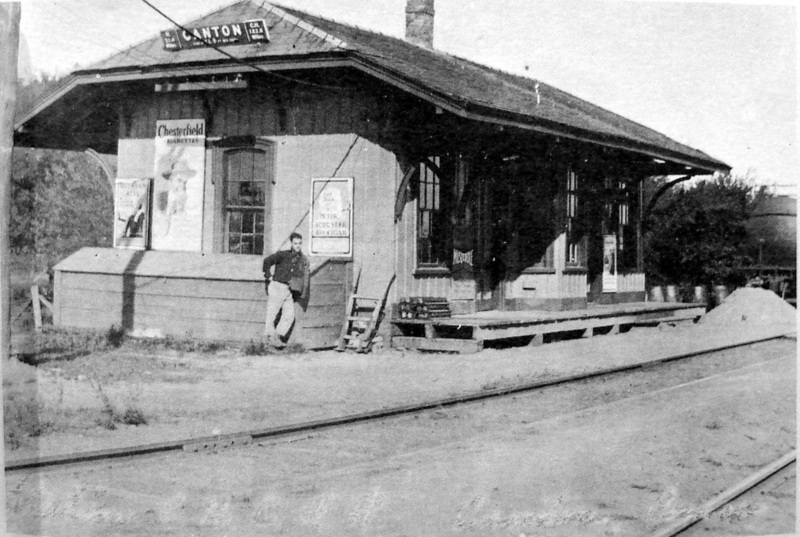 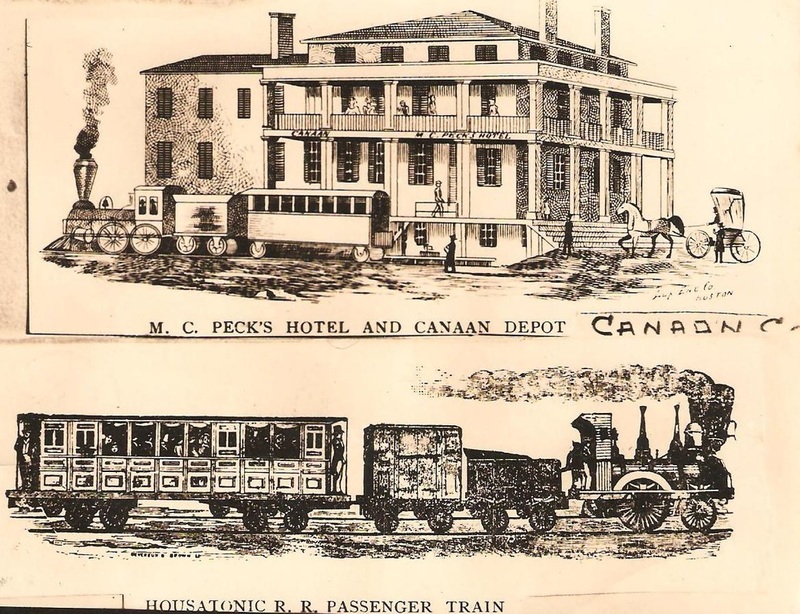 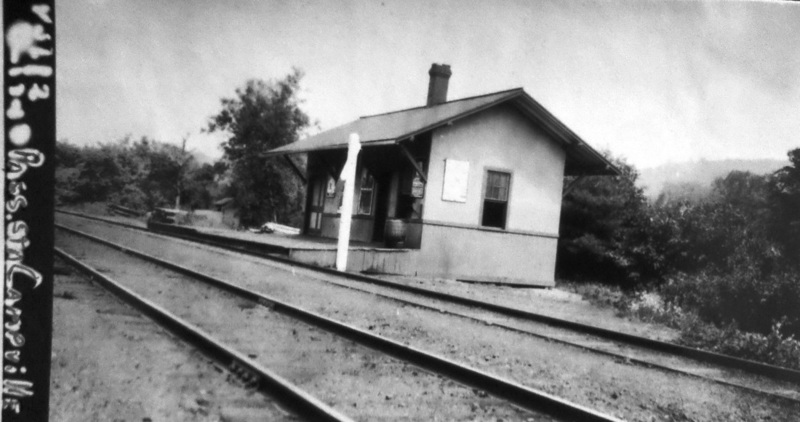 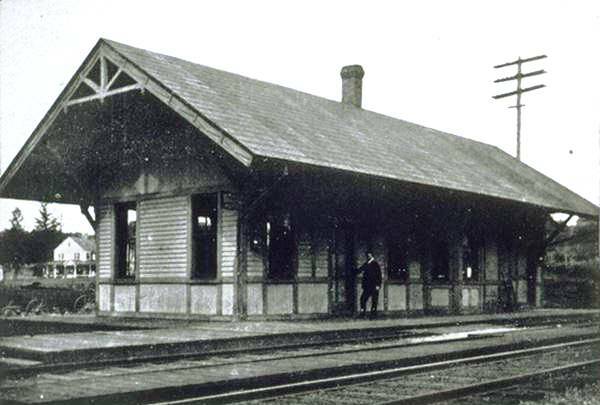 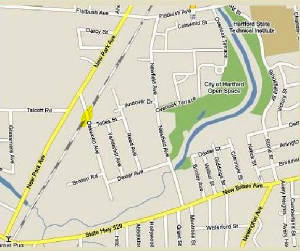 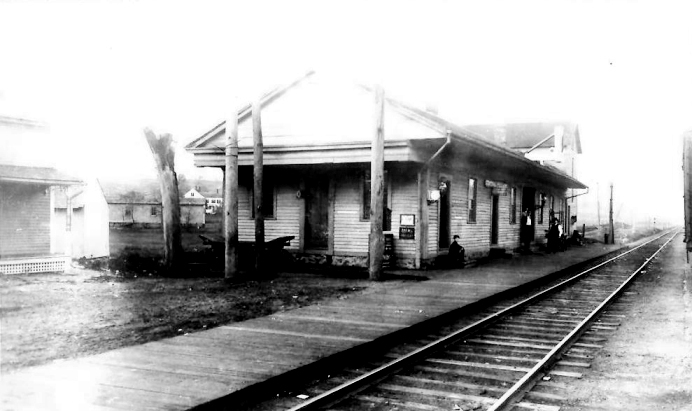 The stop was established in 1840 in the town of Plainfield by the N&W. 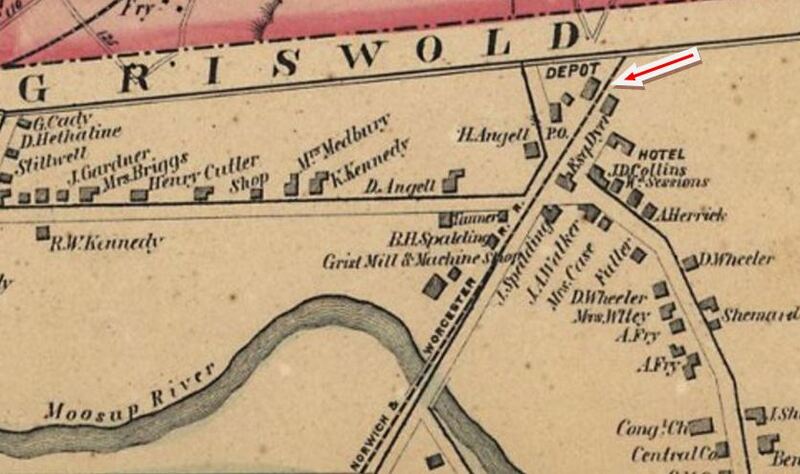 We suspect that there was an earlier station but we have no evidence and so have not listed it as of yet. 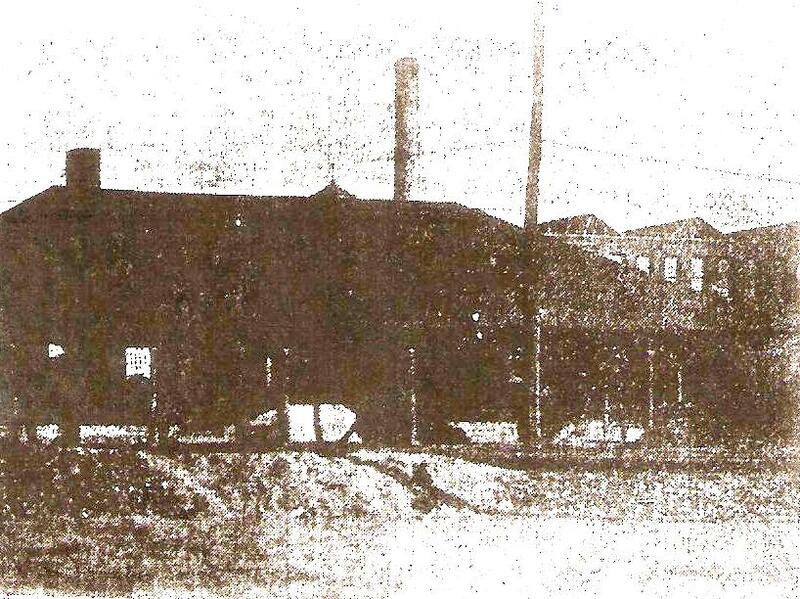 This apparently was a factory stop in the extreme northwestern part of Waterbury in the 1900s. 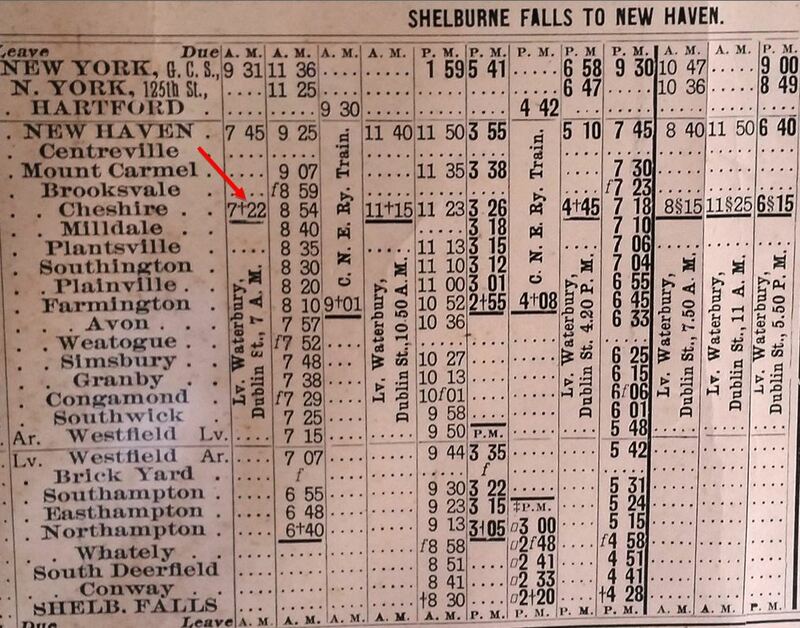 It appears on a list that the current NRR uses on their excursion tickets but they have been unable to identify the date of the timetable the list was based on. 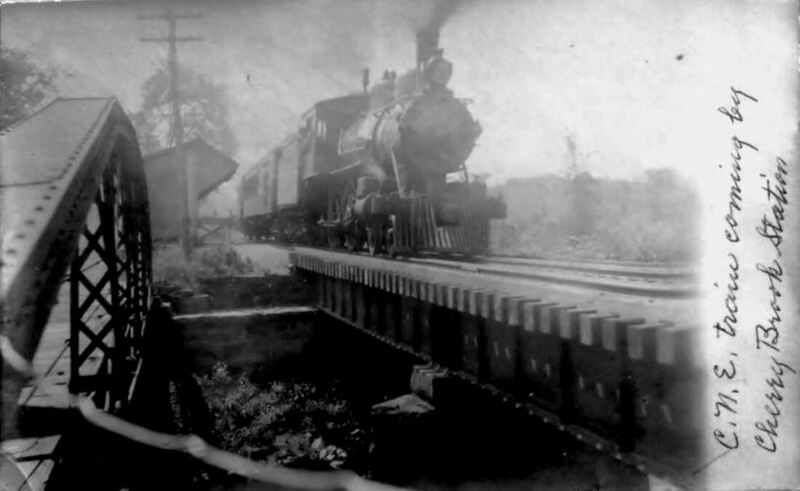 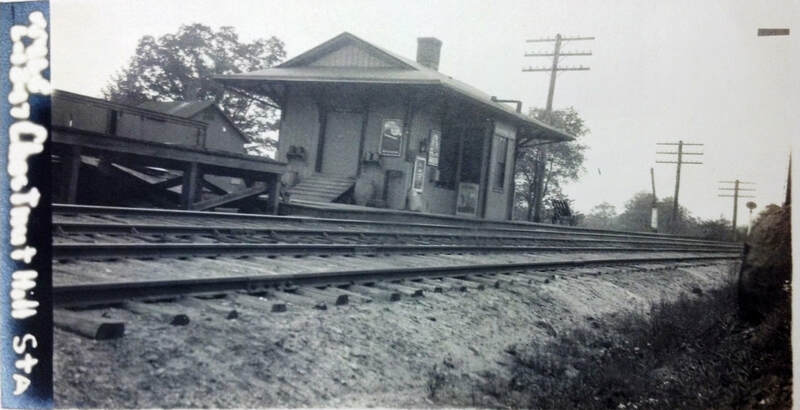 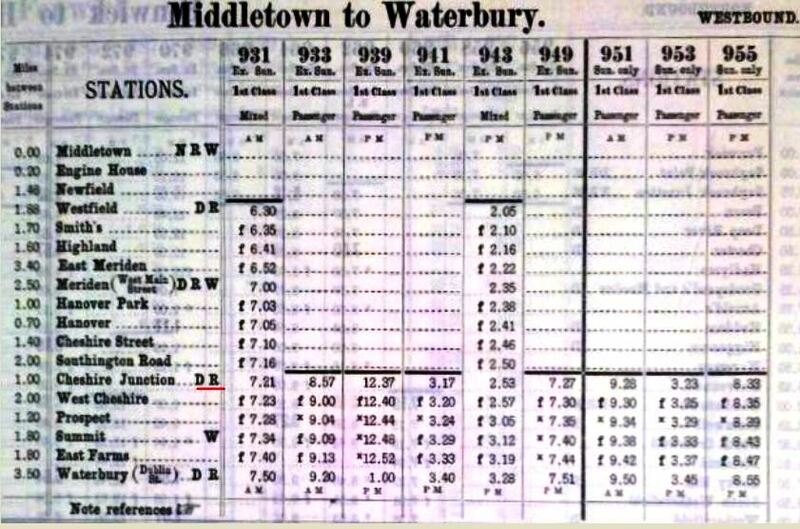 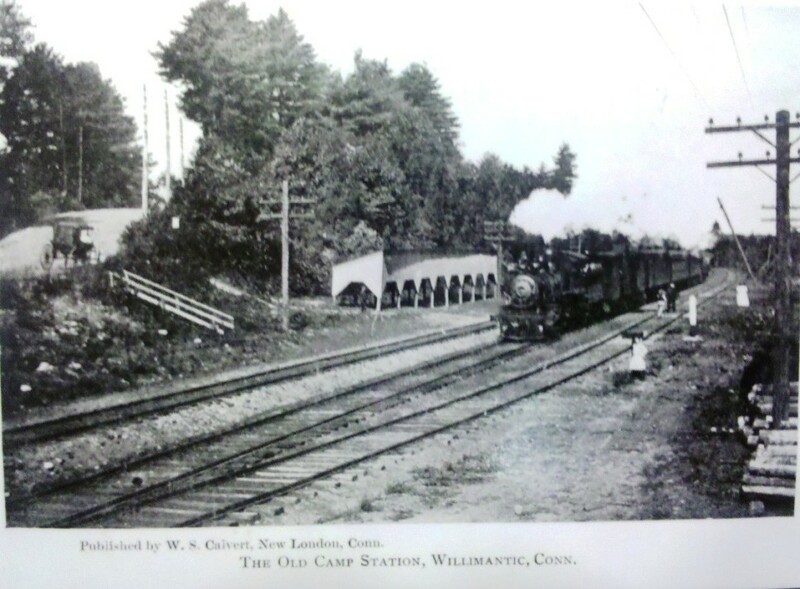 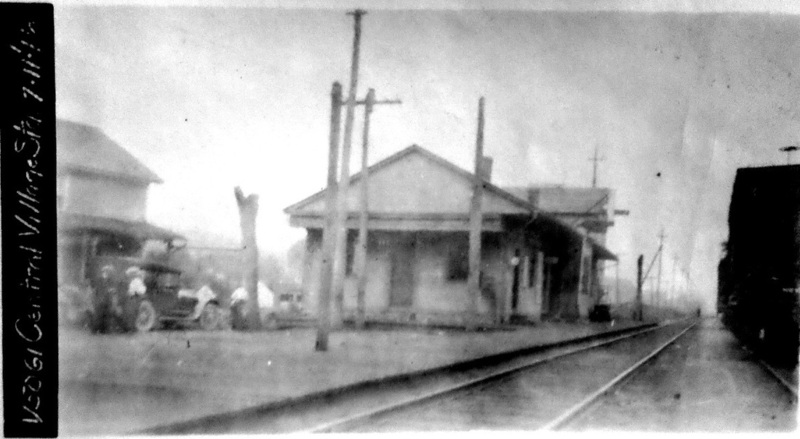 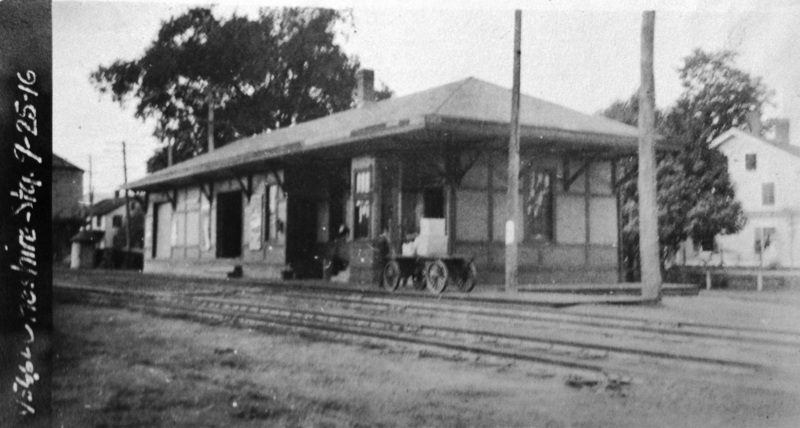 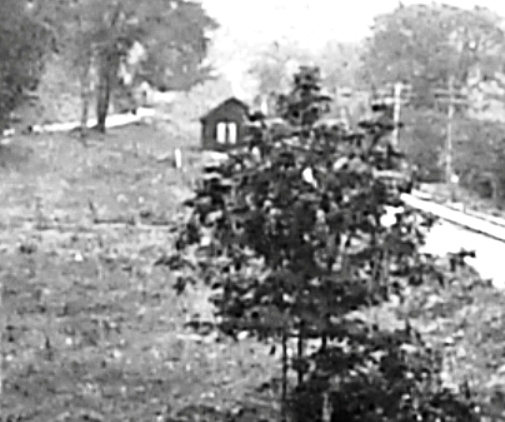 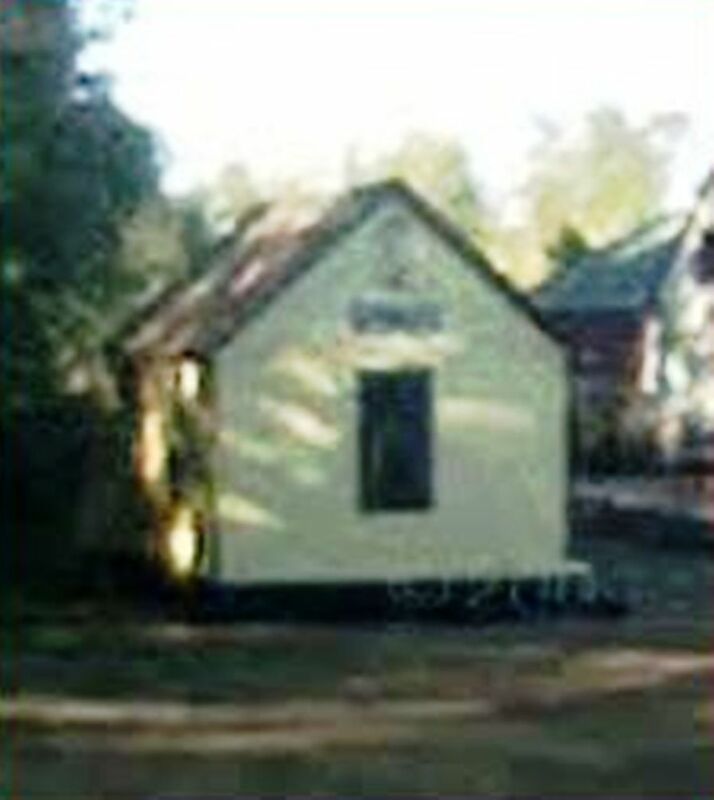 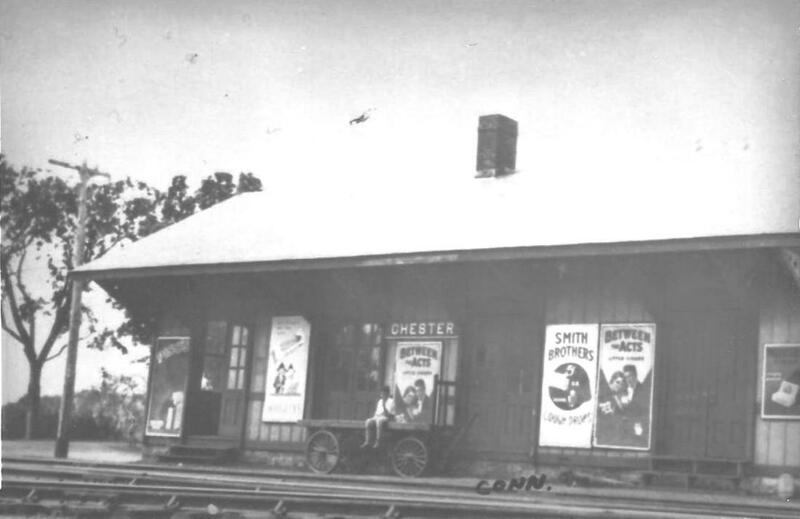 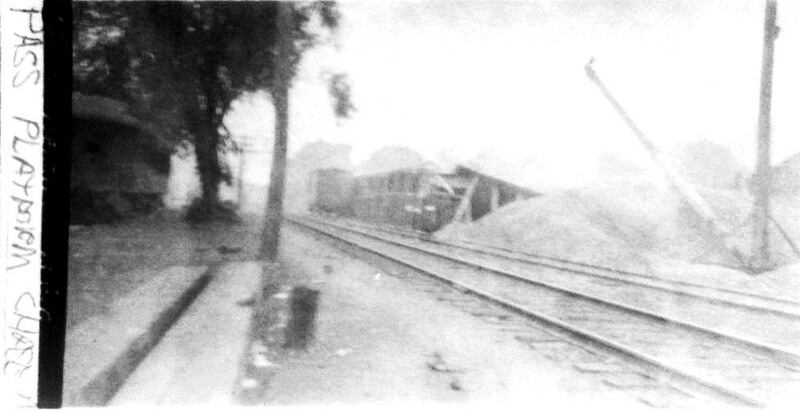 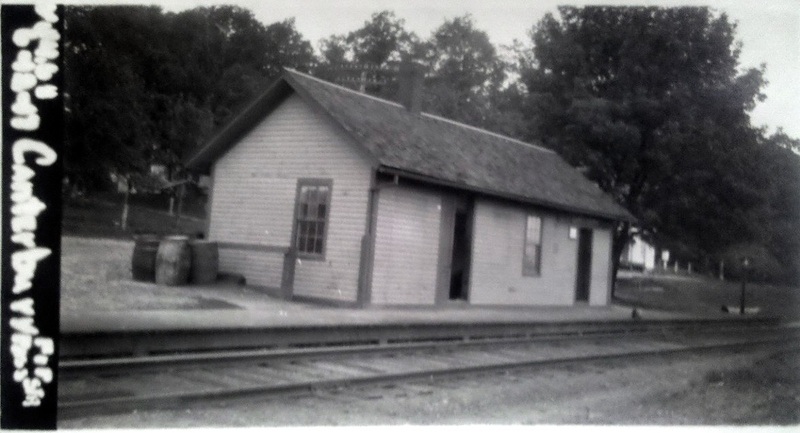 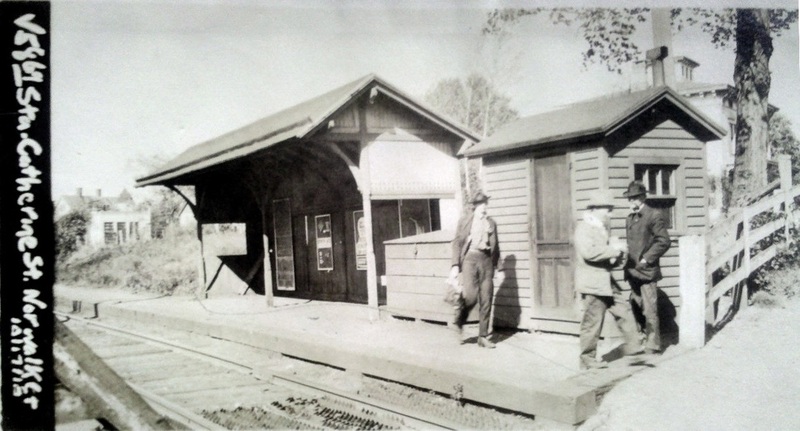 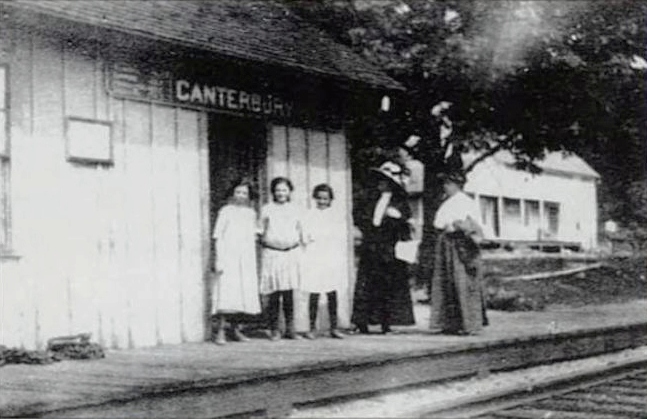 This grainy photo shows an old coach parked on a siding and notations in the margins indicate that this is the passenger platform here in the Waterville section of town. 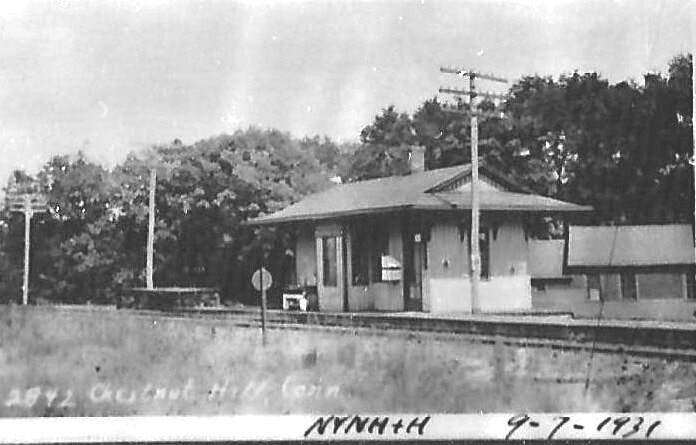 The NYNH&H used coaches elsewhere for industrial stops, e.g. 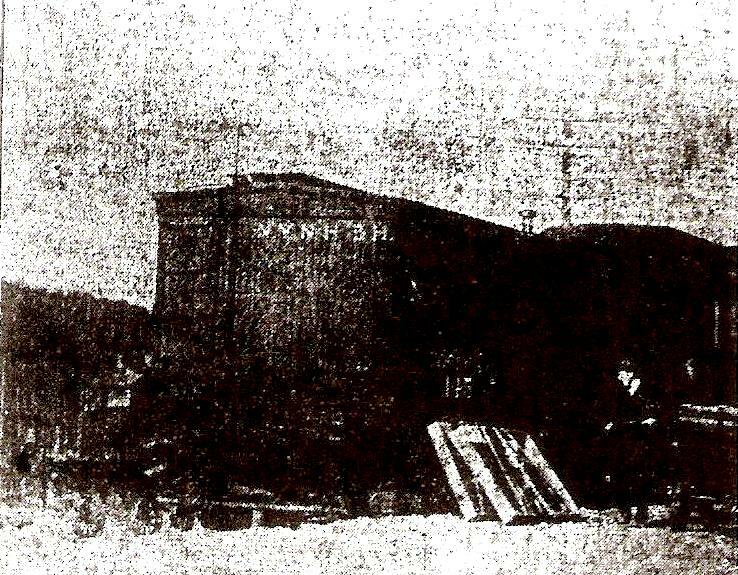 BELAMOSE, for temporary facilities after fires, e.g. 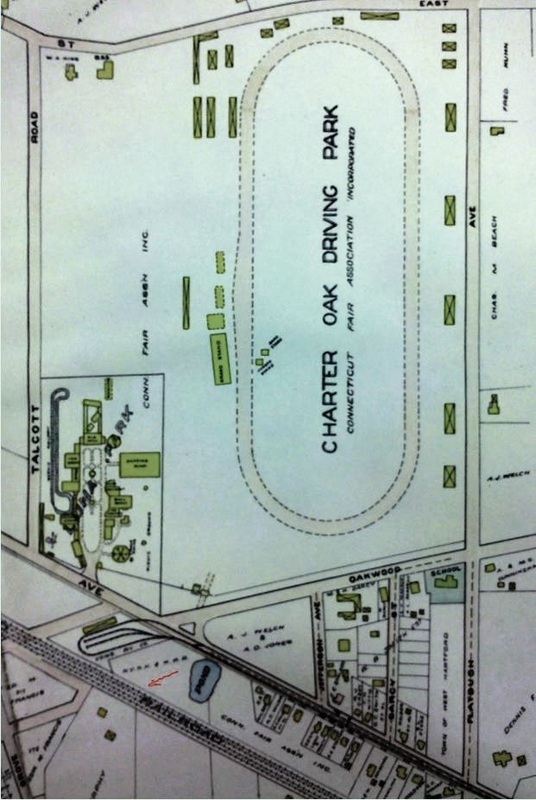 BOLTON1 and DERBY3, and for expanded facilities where needed, e.g. 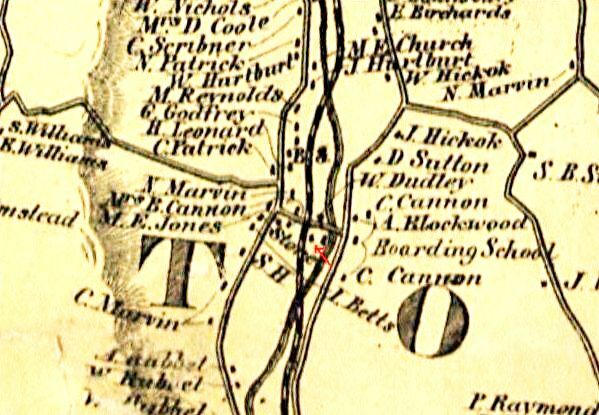 SCOTLAND2. 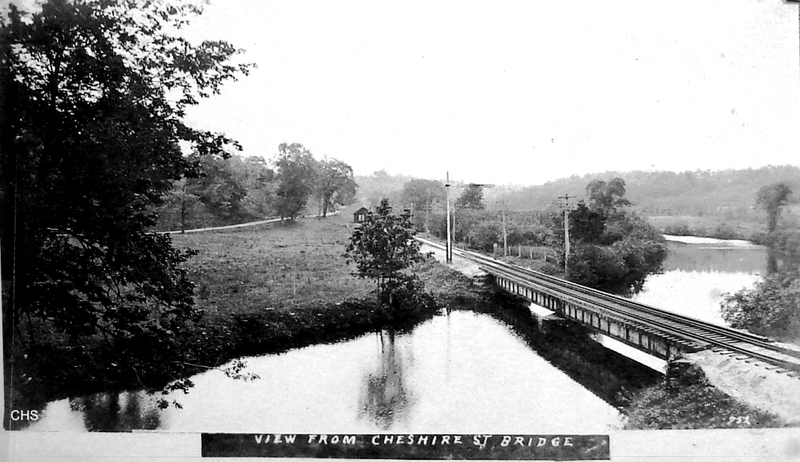 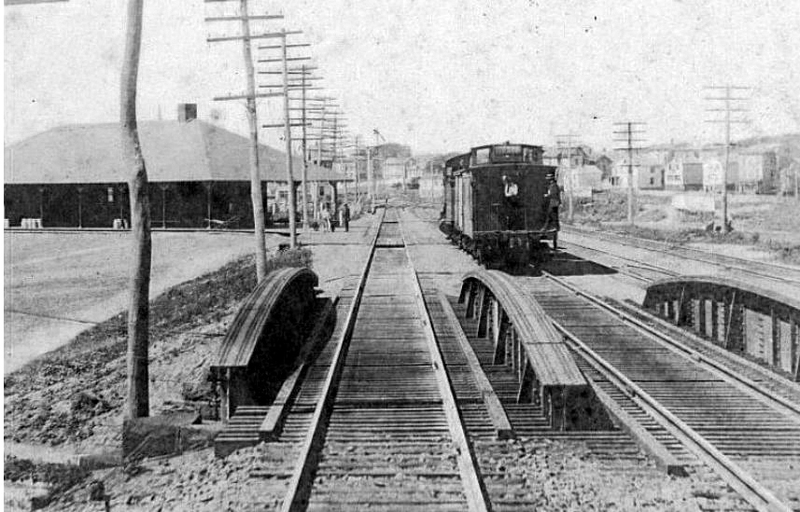 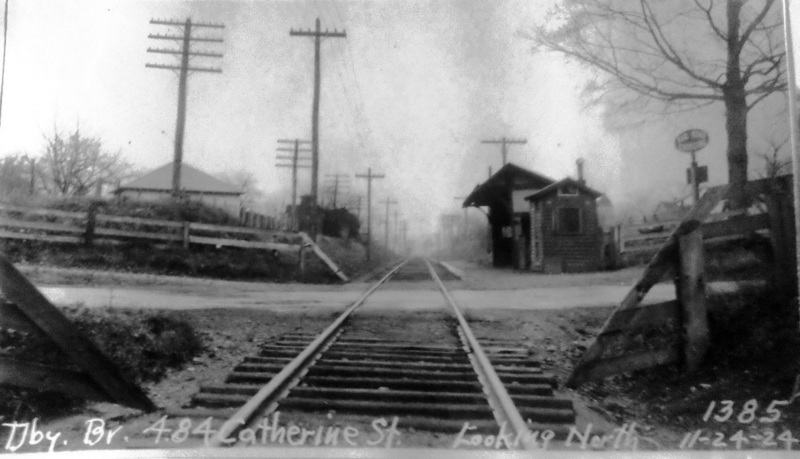 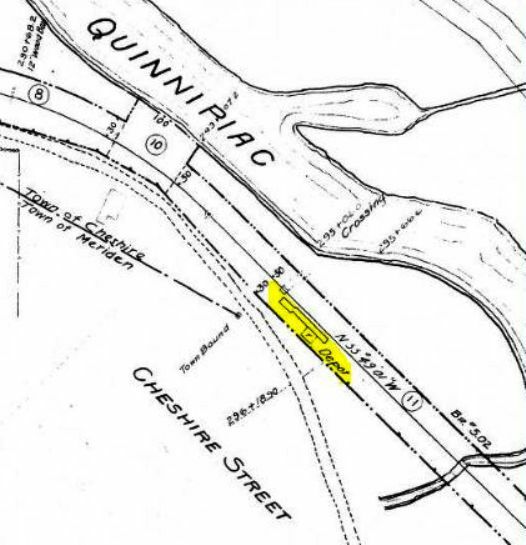 Just below CHESHIRE JUNCTION, the Cheshire Street Rwy crossed over the Canal line north of the CHESHIRE station on West Main St. 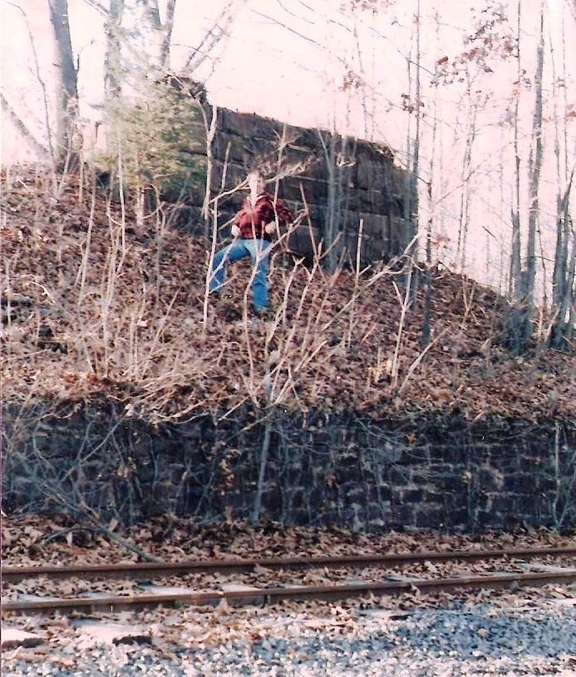 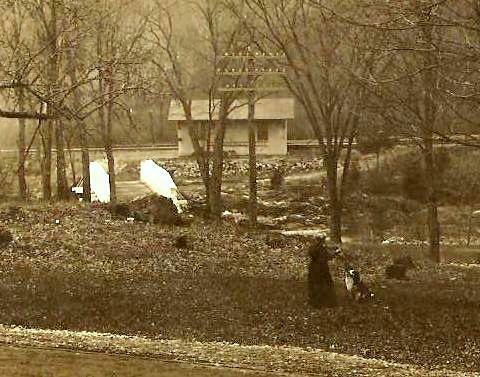 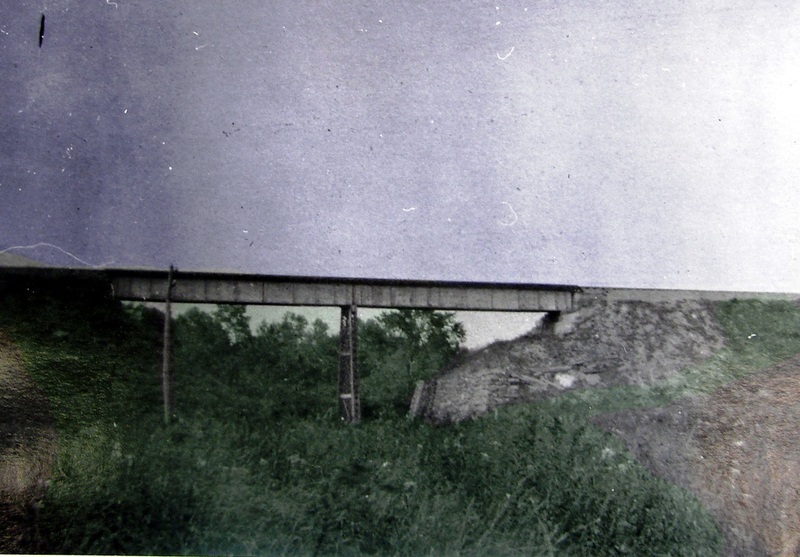 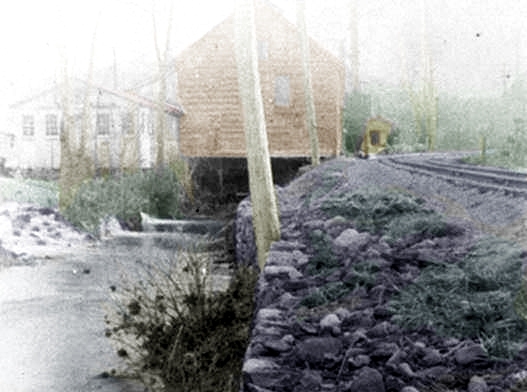 The color shots show the remains in 1985, both the monolithic central pier and the eastern abutment. 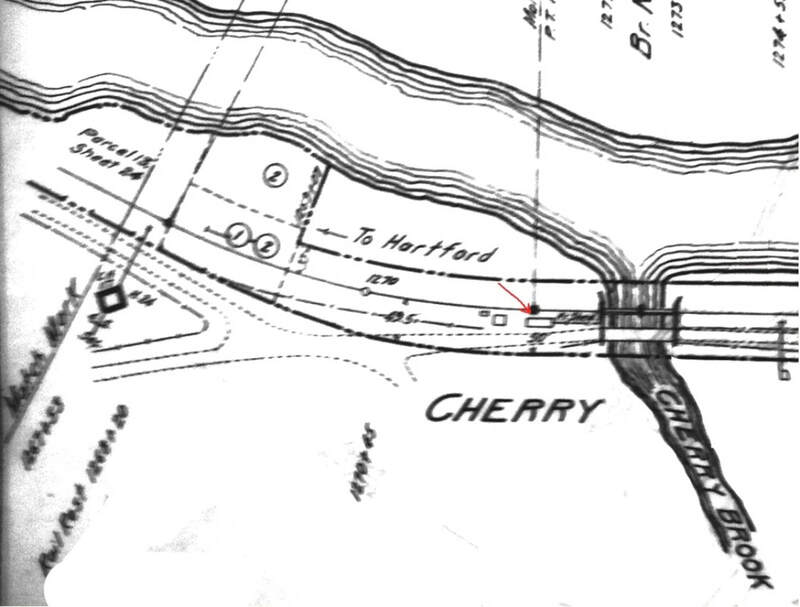 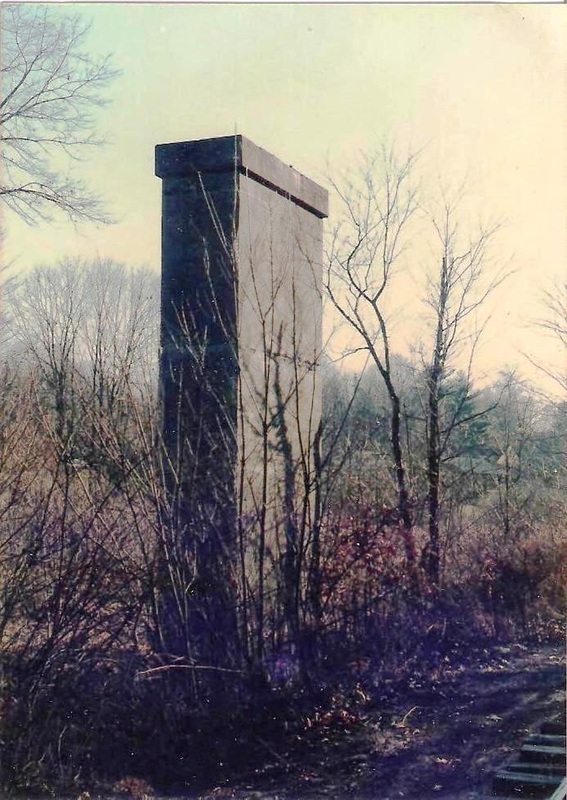 These, plus the western abutment, are all still extant in 2015 and have been identified by signage on the Farmington Canal Heritage Greeenway. 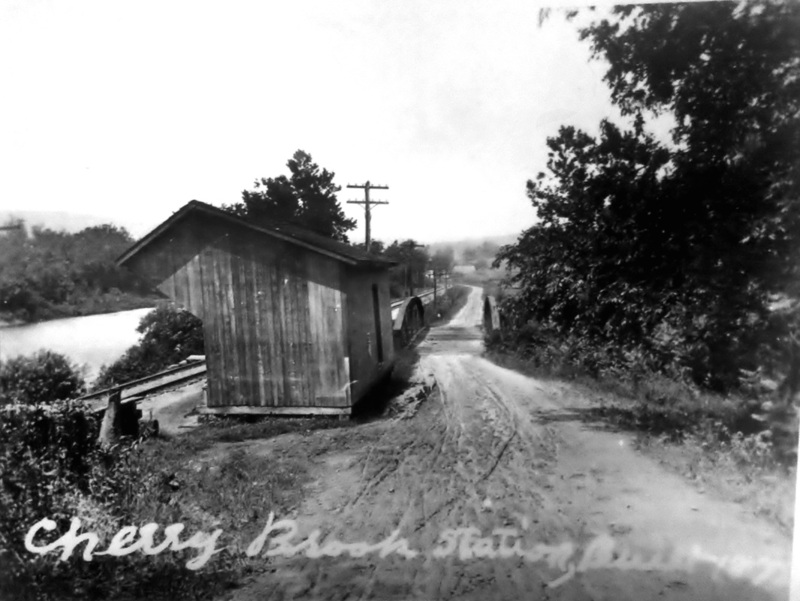 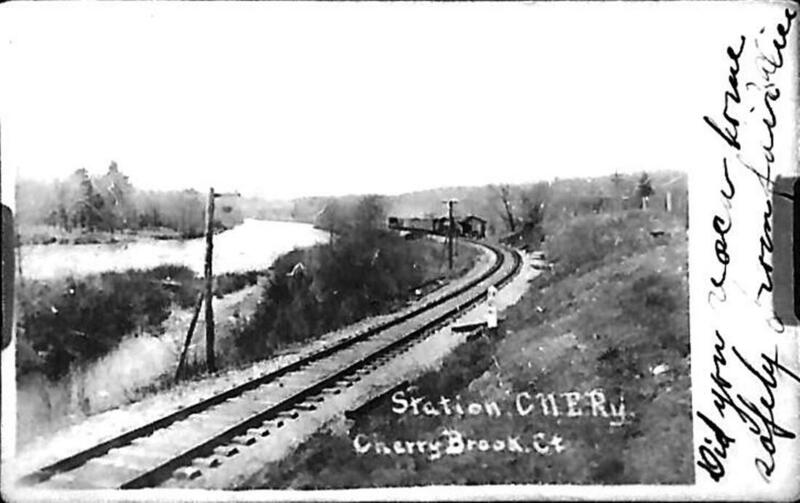 The Charles Rufus Harte photo at right looks north at a Waterbury-bound car crossing the bridge on 6/10/1927, with a stretch of the Farmington Canal still running on the eastern side of the railroad line. 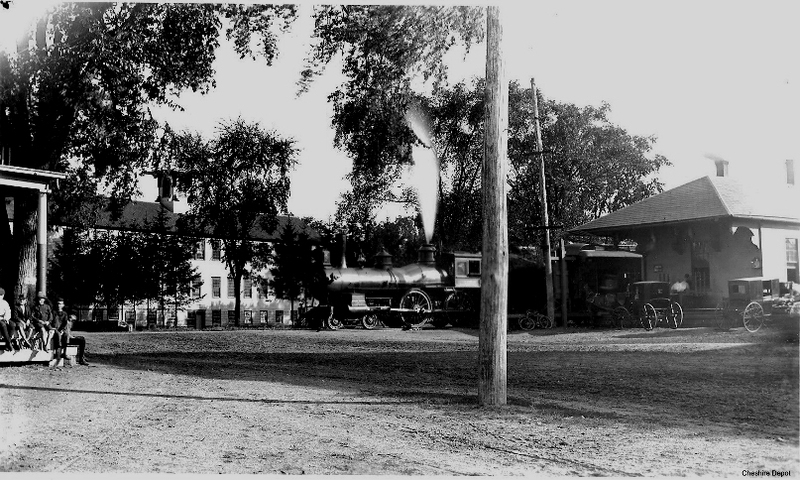 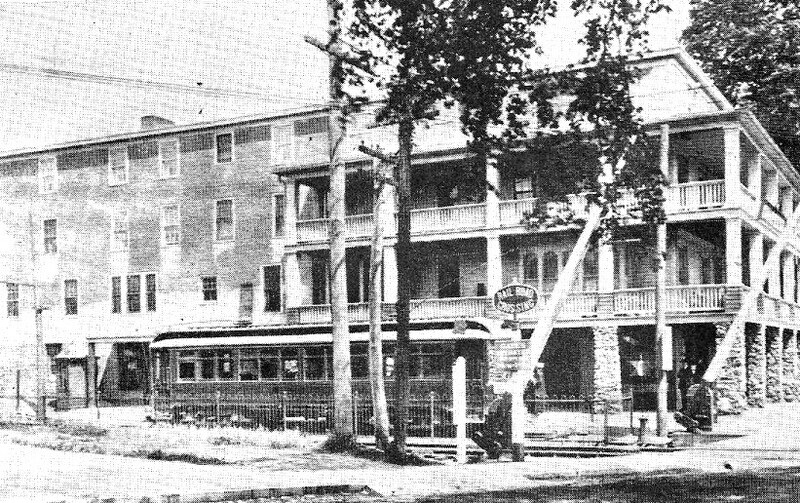 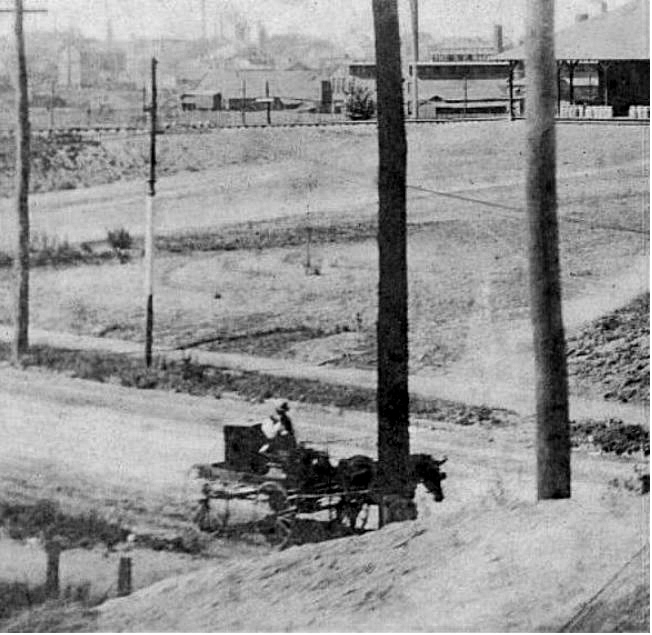 Recollections are that the trolley men used to let the cars roar down the incline before bringing them to a safe stop at Scott's Junction opposite Waverly Inn on Maple Ave. 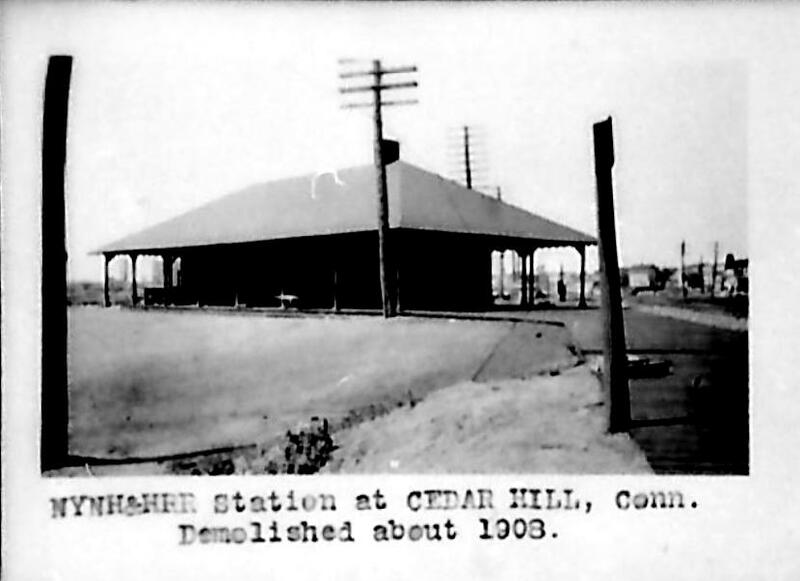 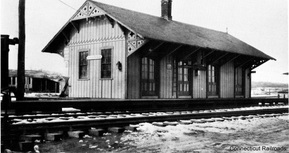 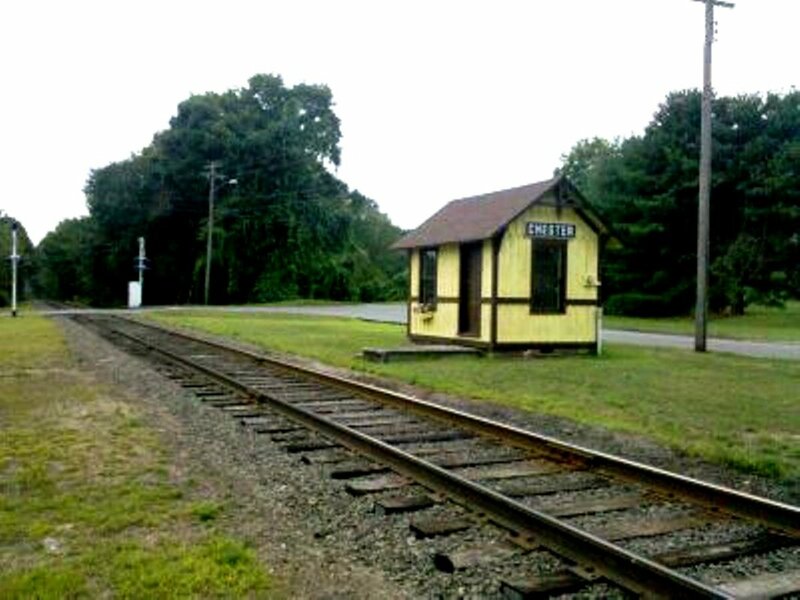 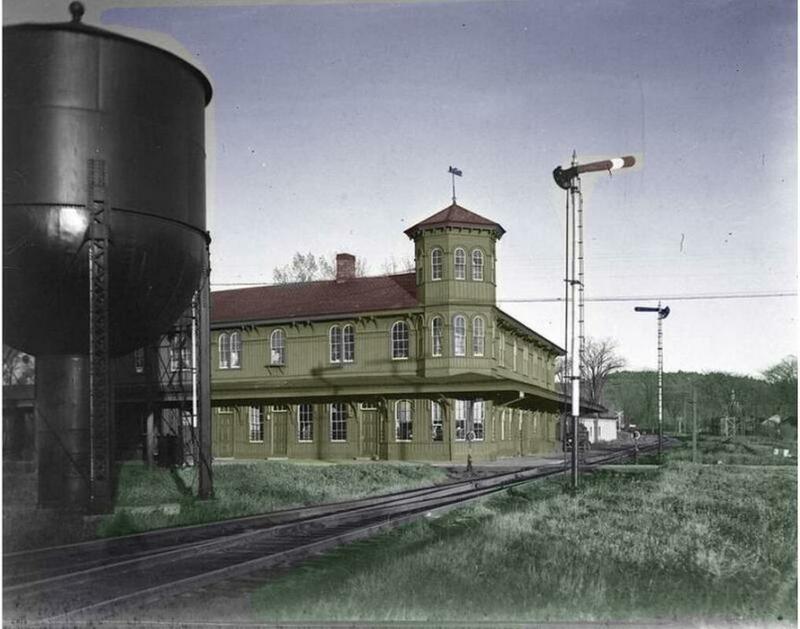 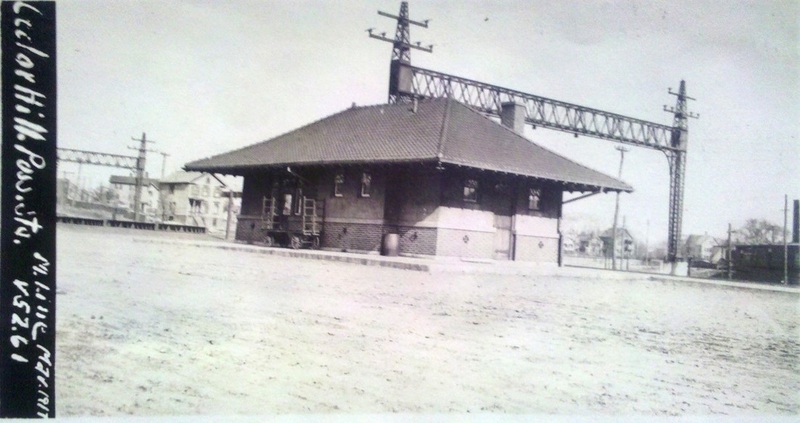 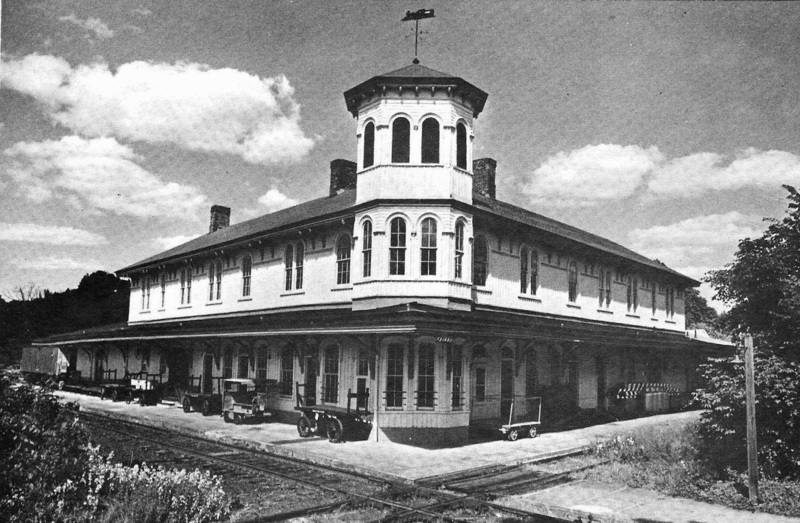 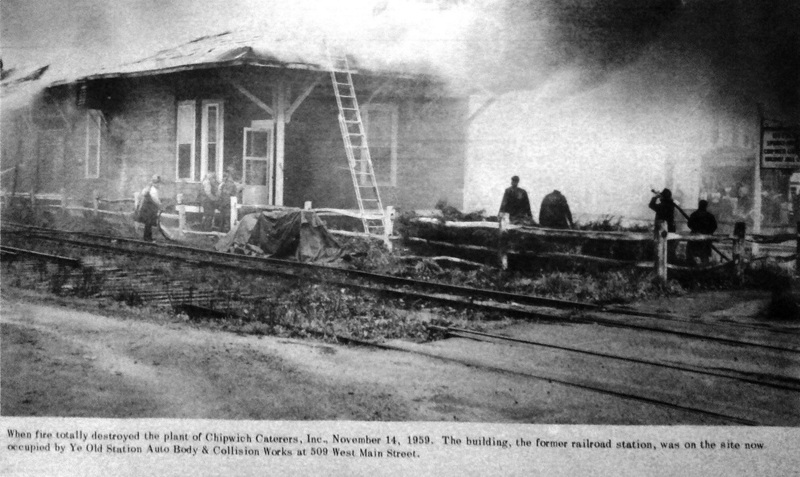 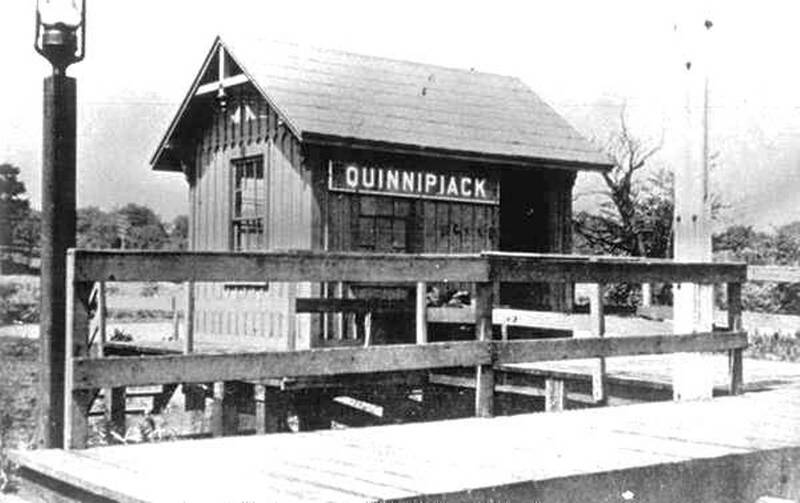 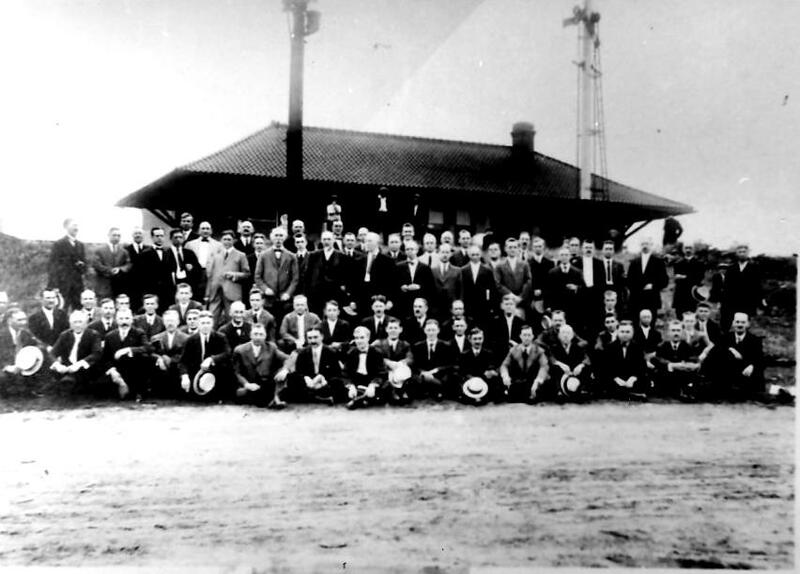 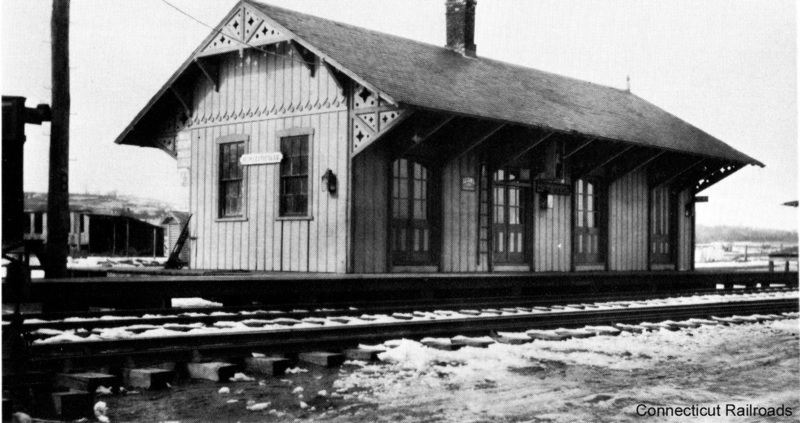 The QUINNIPIACK depot was donated to the Valley RR in 1976, refurbished, placed at the site and renamed as the successor to CHESTER2, which had been moved to become a private residence some years earlier. 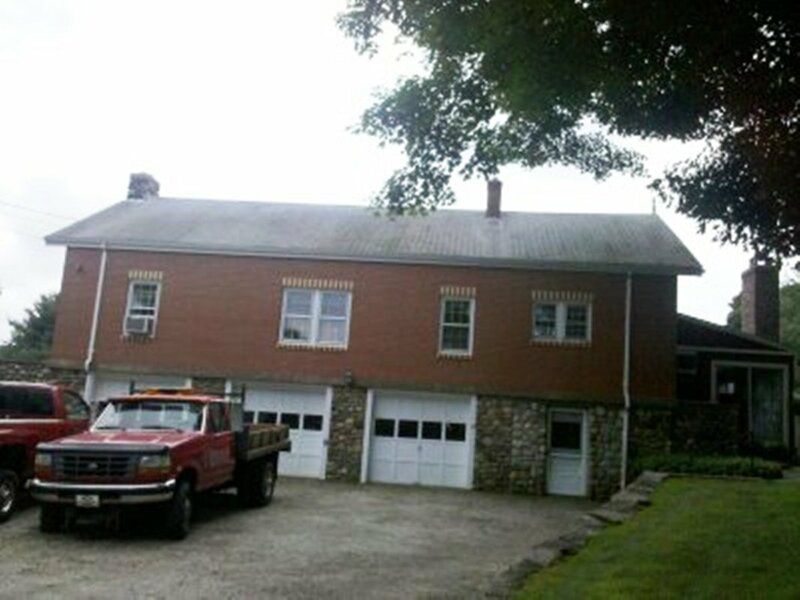 Photo on left was taken on 8/2/2010.